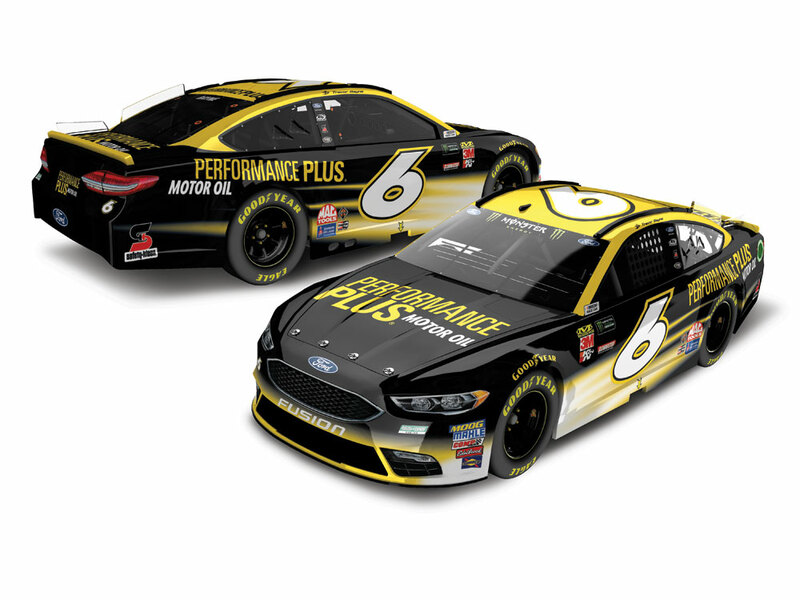 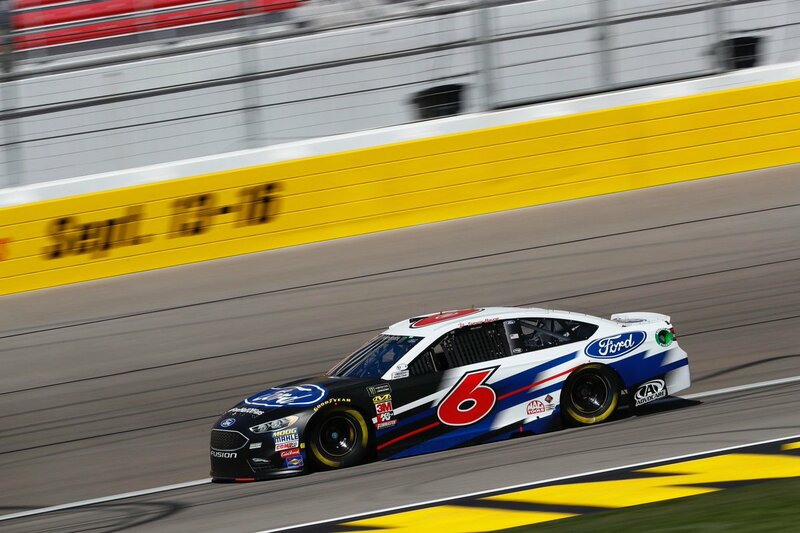 Trevor Bayne #6 Advocare Rehydrate Ford Fusion-When it comes to this scheme, there is nothing really wrong here, but there isn’t anything right here either. 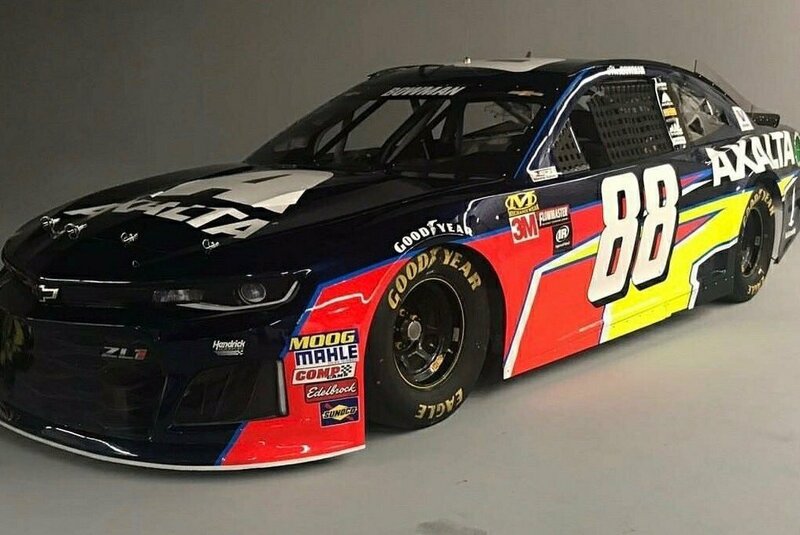 It’s just a meh scheme, not impressive, not unimpressive. 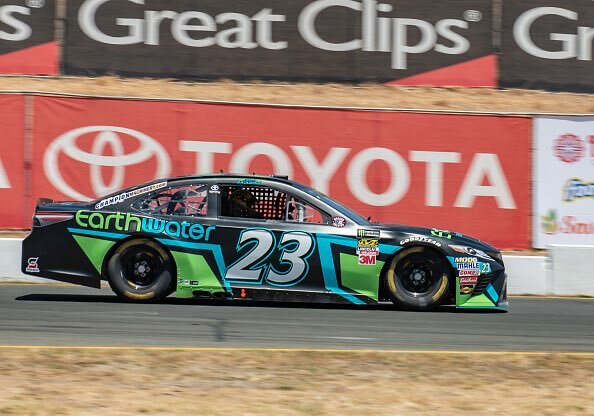 I’ll give it a C.
Gray Gaulding #23 EarthWater Toyota Camry-Getting rid of the gray really didn’t help this scheme much. 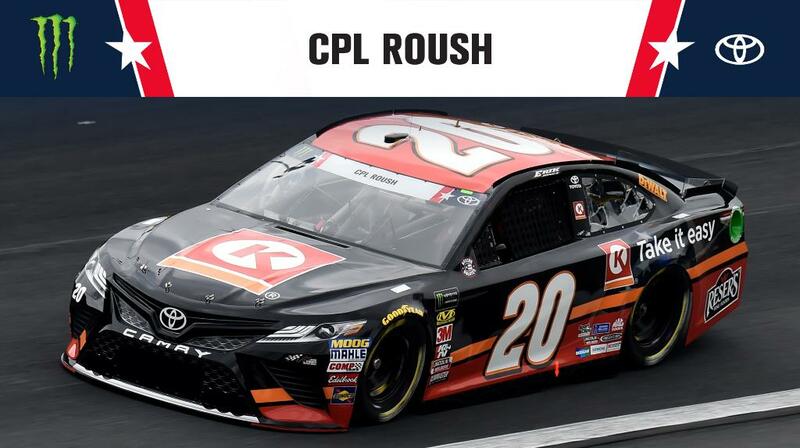 It’s still ugly and over designed, but it’s slightly less ugly and over designed. 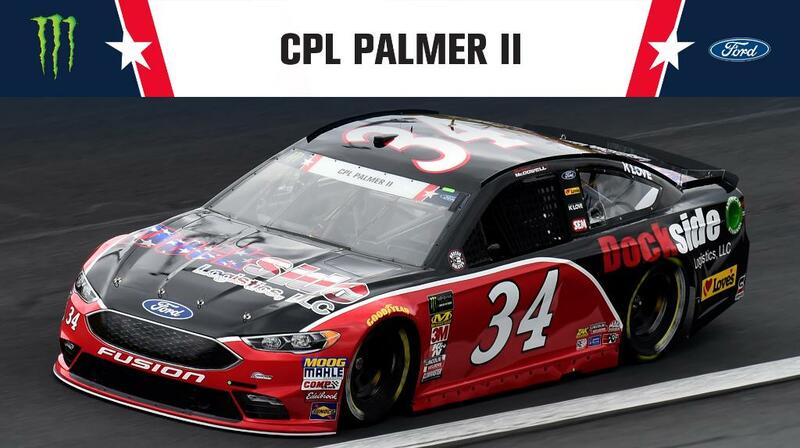 It has graduated from an F to a D-. 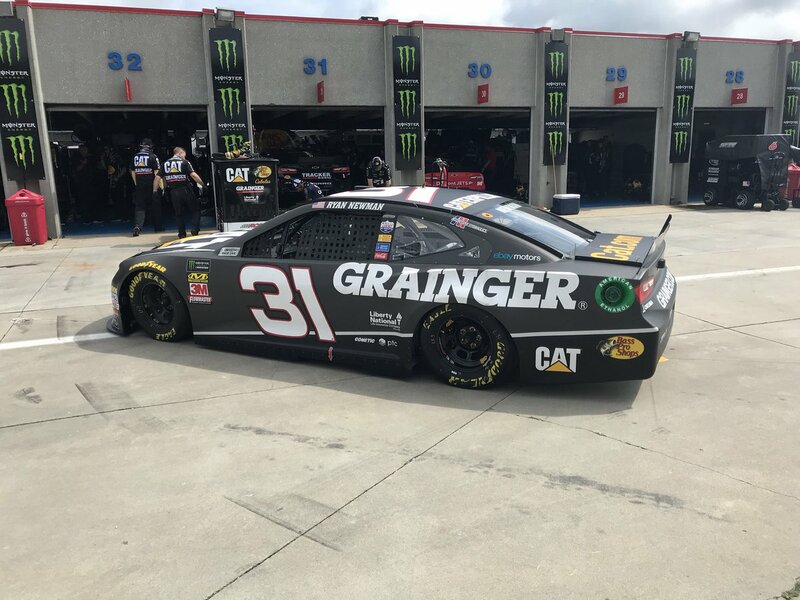 Ryan Newman #31 Granger/Red Cross Chevy Camaro-This color scheme suits the Granger scheme even better than the regular one. 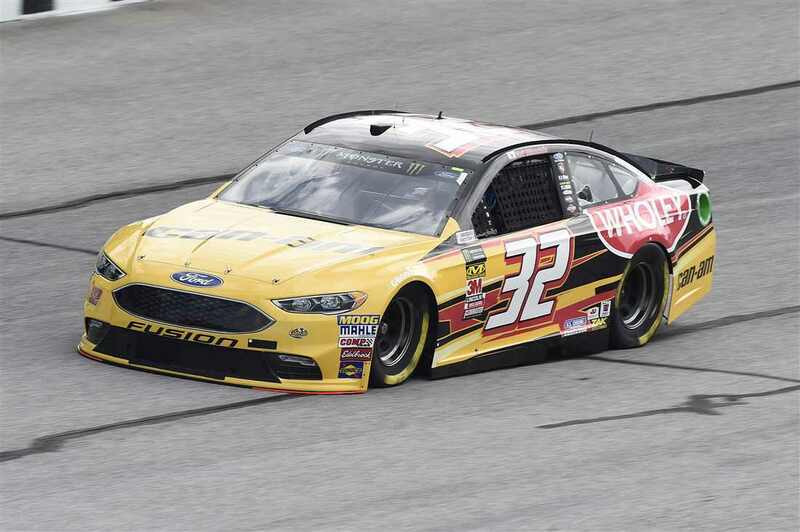 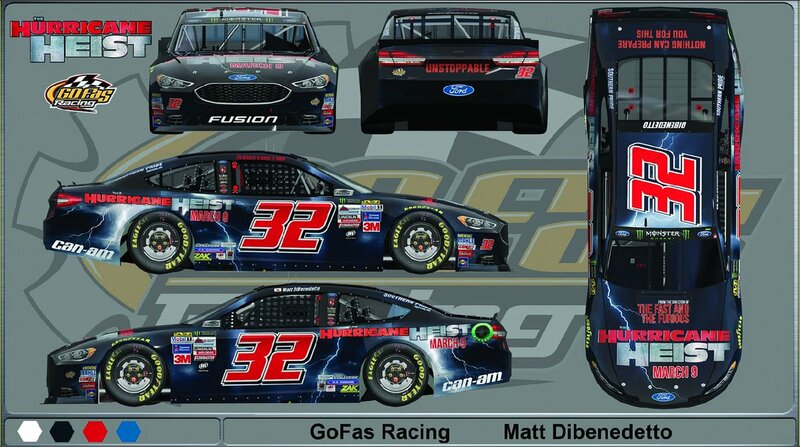 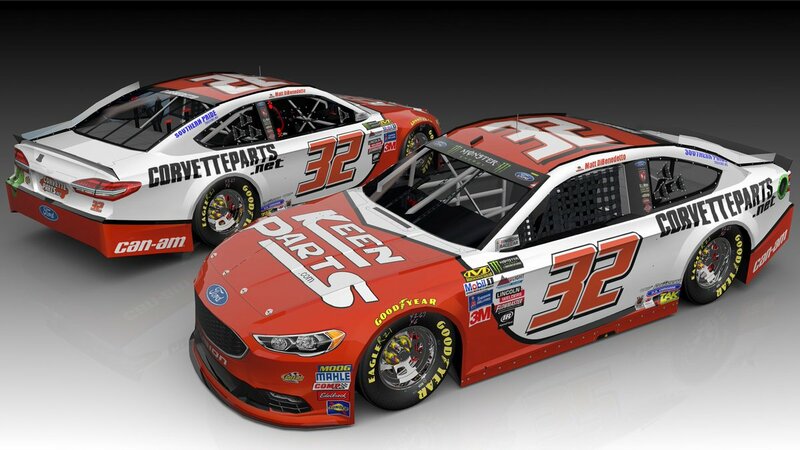 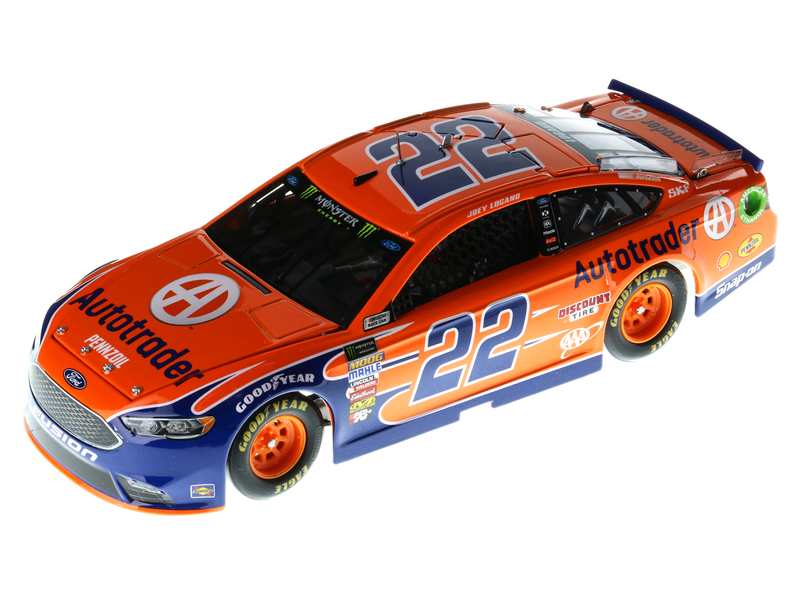 The regular scheme is worth an A, so this scheme will also get an A.
Matt DiBenedetto #32 Anest Iwata Ford Fusion-A good fade with a great color scheme will always earn an A.
Matt DiBenedetto #32 The Hartford Group Ford Fusion-A good fade with a great color scheme will always earn an A.
Chris Buescher #37 Maxwell House Max Chevy SS-This was a great scheme last year, and this scheme is even better. 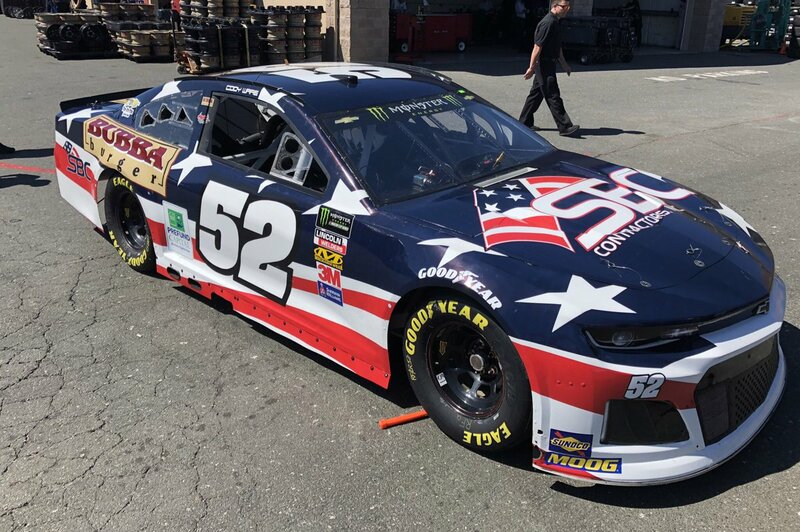 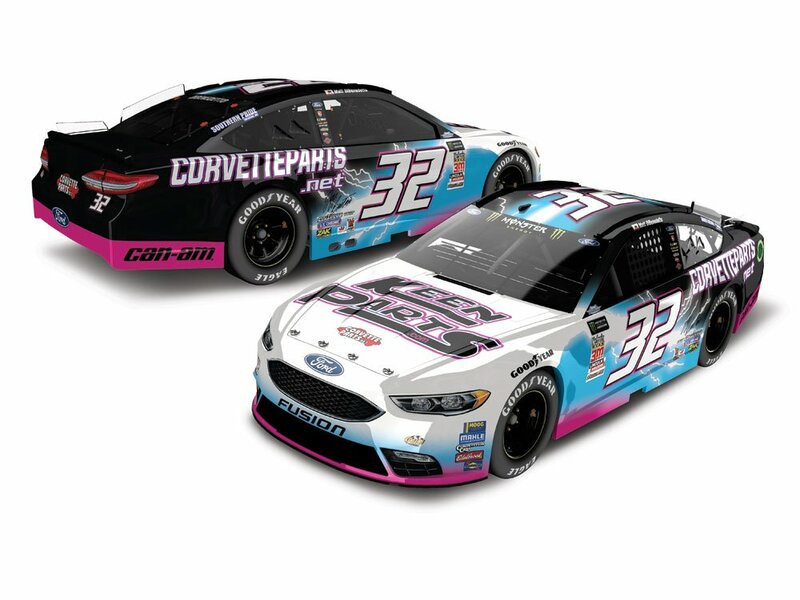 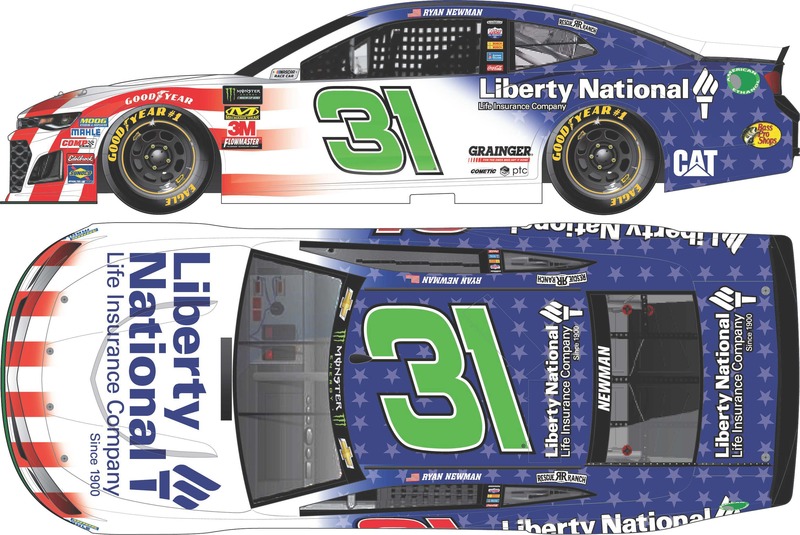 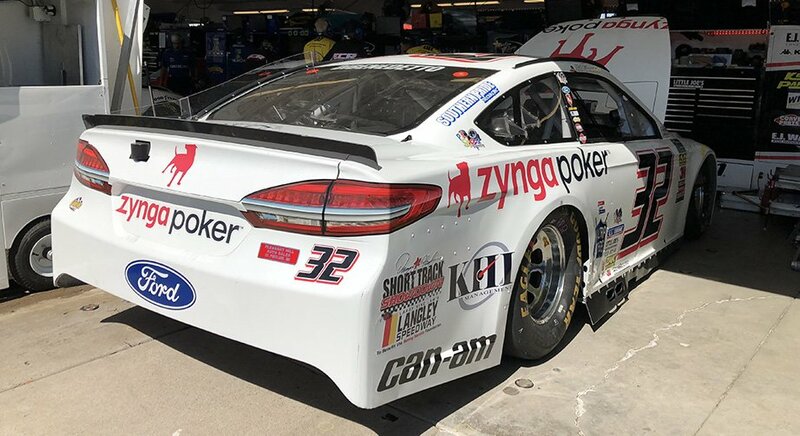 I love the smooth, simple scheme, and the fact it has a great color scheme makes it worth an A.
David Ragan #38 MDS Patriotic Ford Fusion-Same basic scheme as MDS, same A grade. 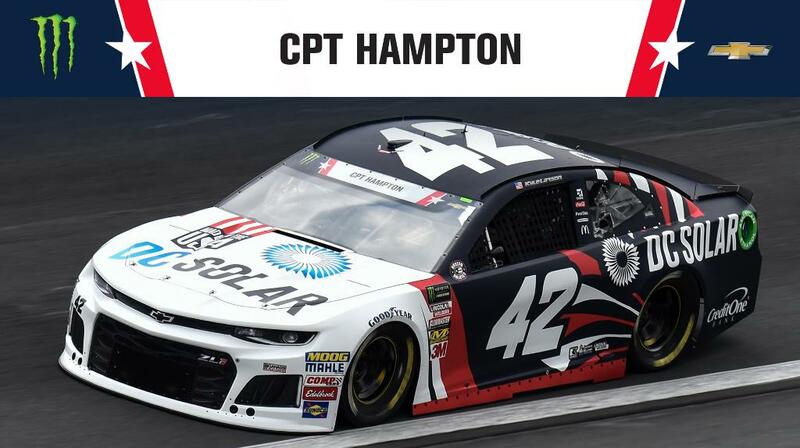 Kyle Larson #42 Credit One Patriotic Chevy Camaro-I don’t think the silver is needed here, it should be just red, white, and blue. 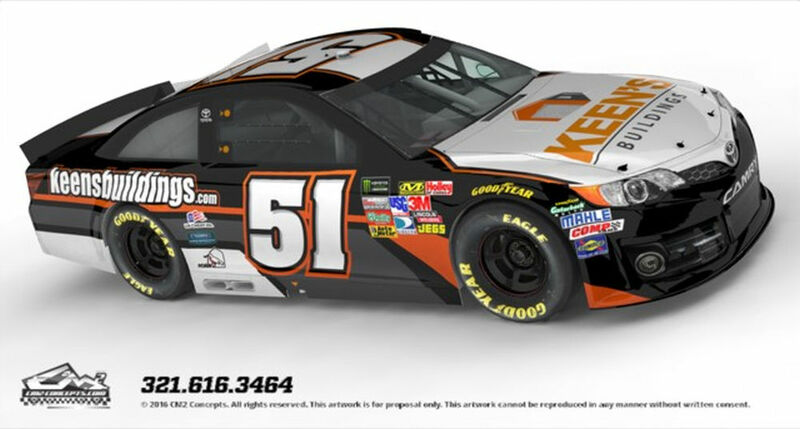 I also think that the scheme is a bit over designed for my taste. 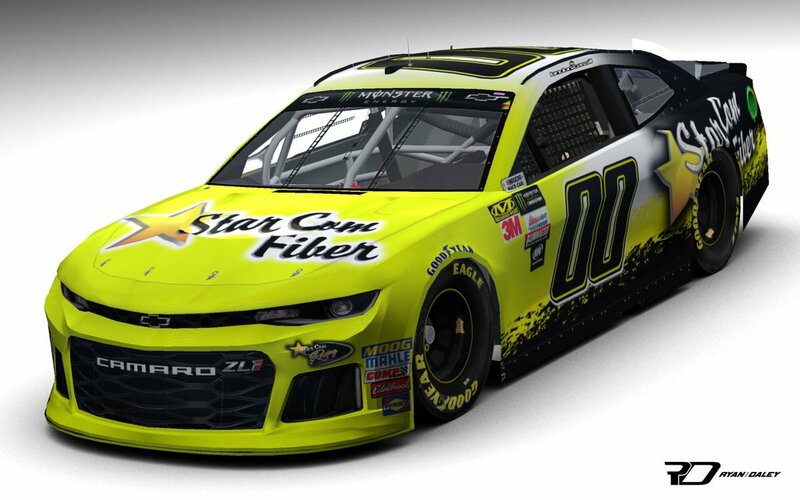 It’s not terrible, so I’ll give it a B-. 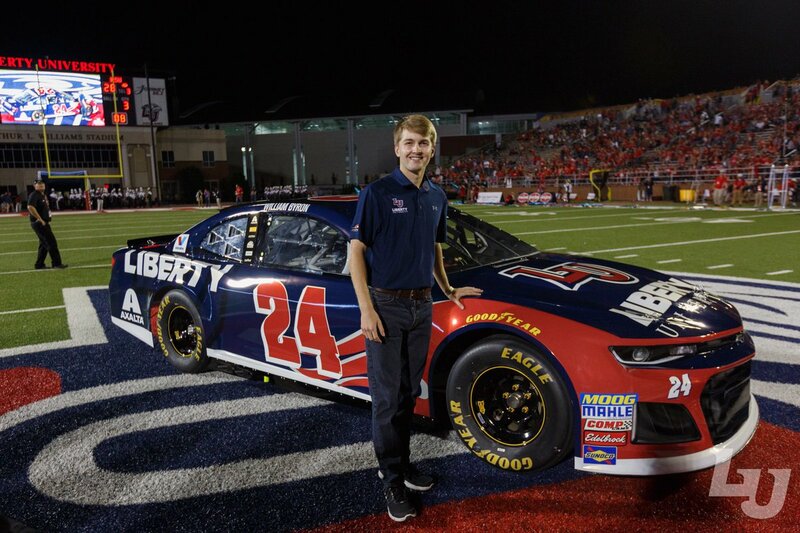 In NASCAR, there are usually two kinds of teams: big and small. 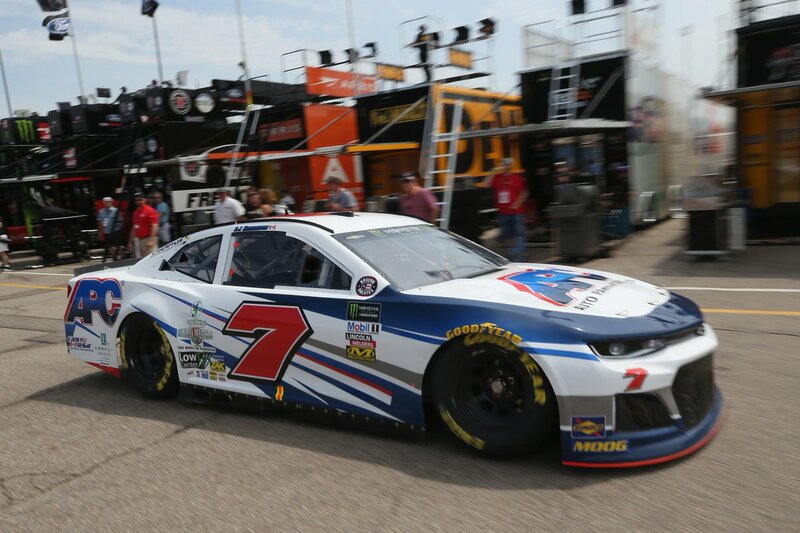 The big teams include Stewart-Haas Racing, Hendrick Motorsports, Team Penske, Chip Ganassi Racing, Joe Gibbs Racing, and Furniture Row Racing. 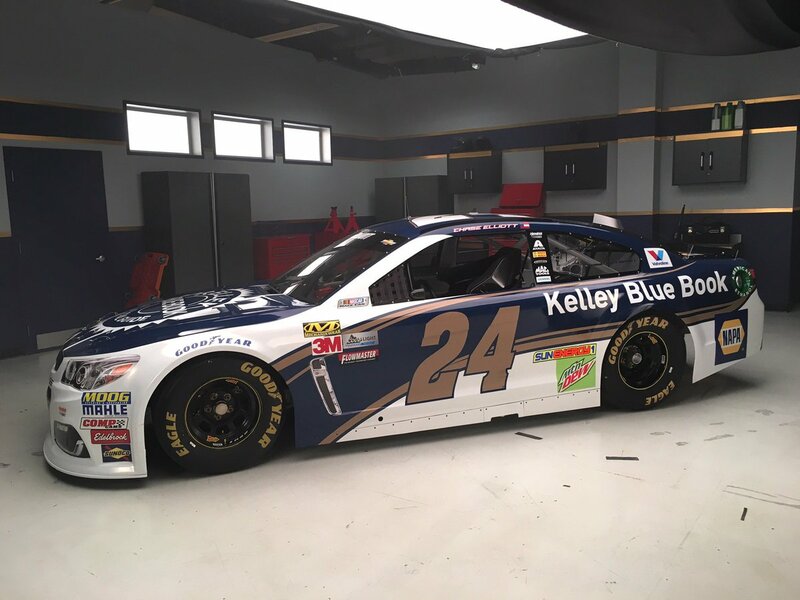 Big teams are multi-car teams that are championship caliber, and have little if any trouble with sponsorship issues. 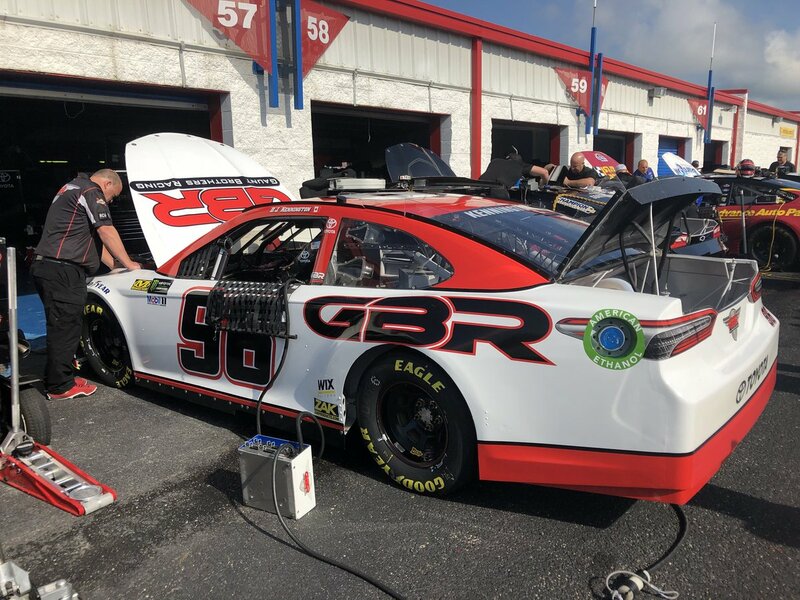 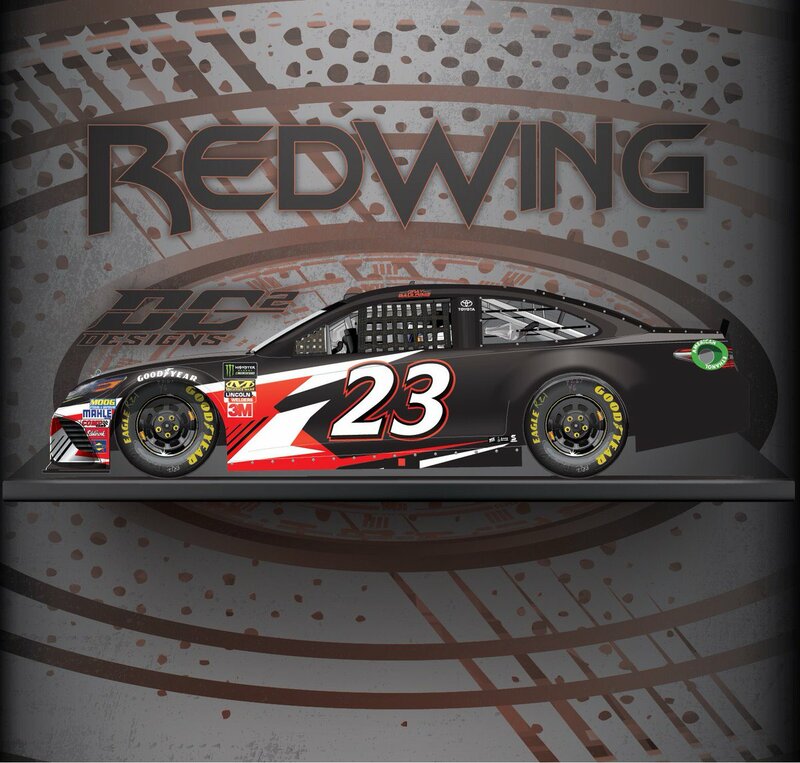 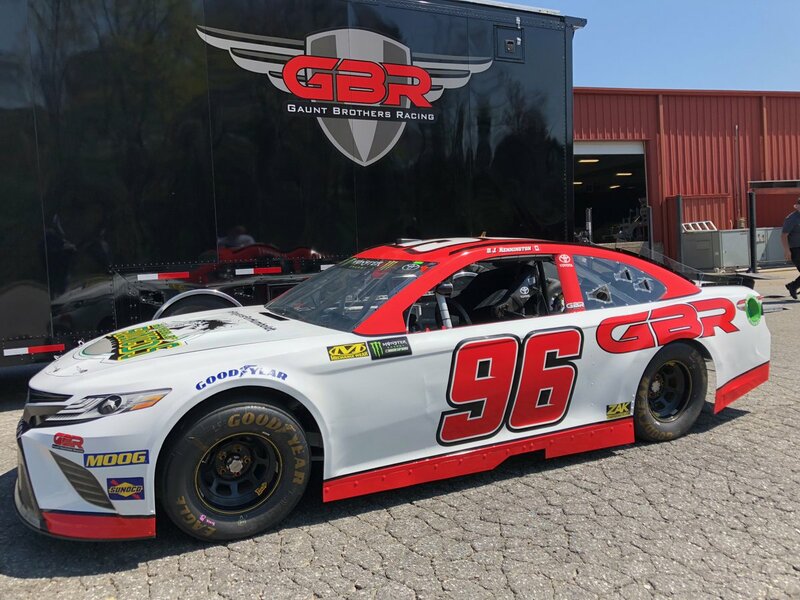 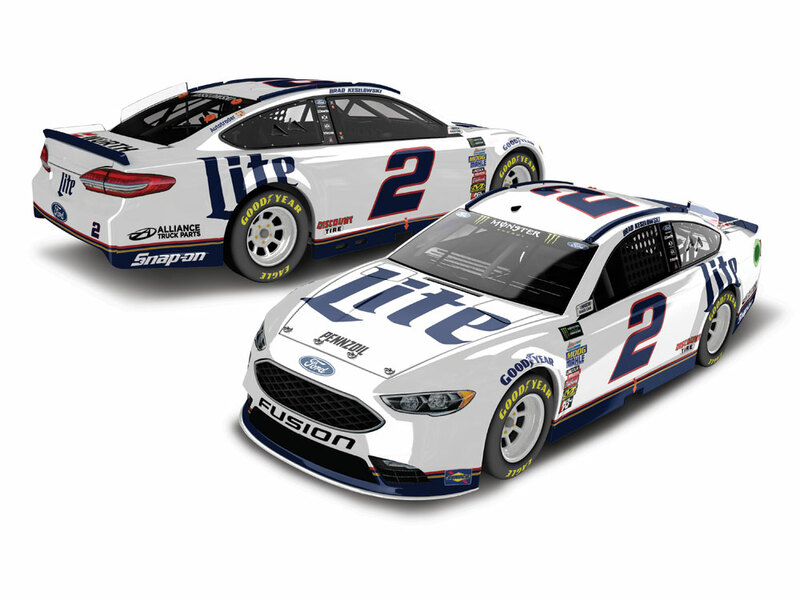 Small teams are teams like Tommy Baldwin, Germain Racing, Premium Motorsports, BK Racing, The Wood Brothers, Go FAS Racing, Circle Sport/TMG, Rick Ware Racing, and Leavine Family Racing. 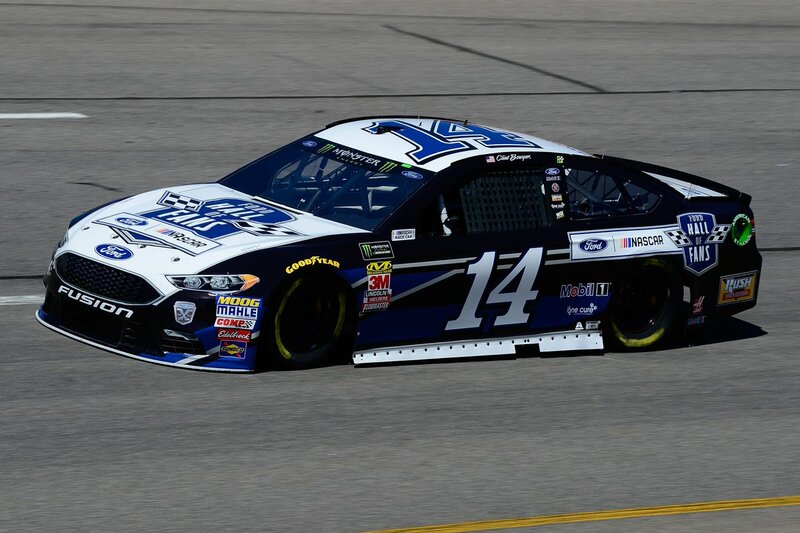 These teams, while they may have more than one team, are often underfunded, have mediocre drivers and on track results. 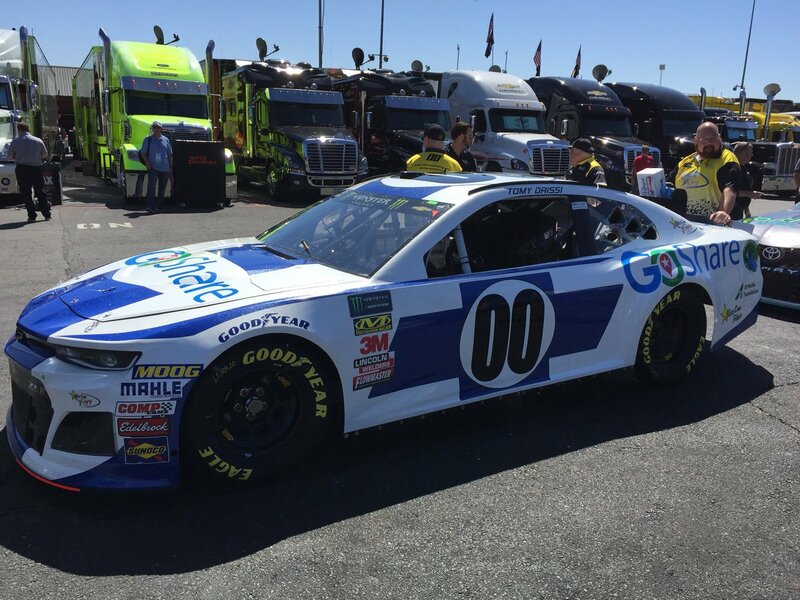 Interestingly, there is a third group, which could really either be considered big or small, depending how one looks at them. 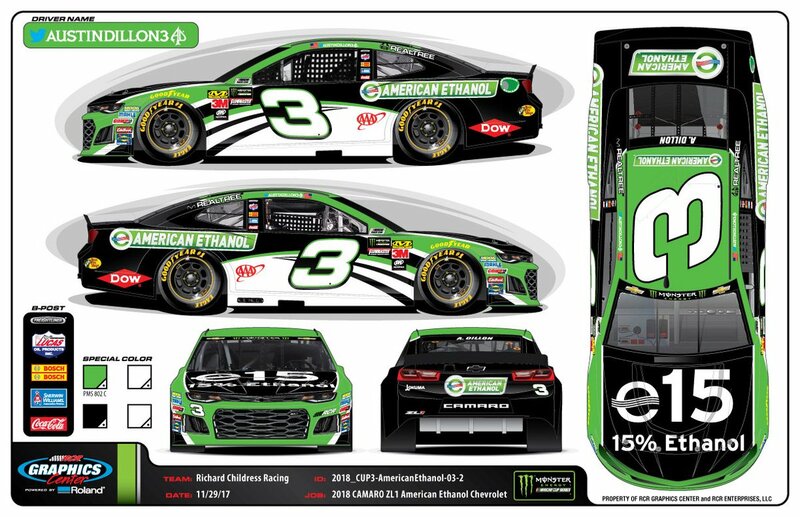 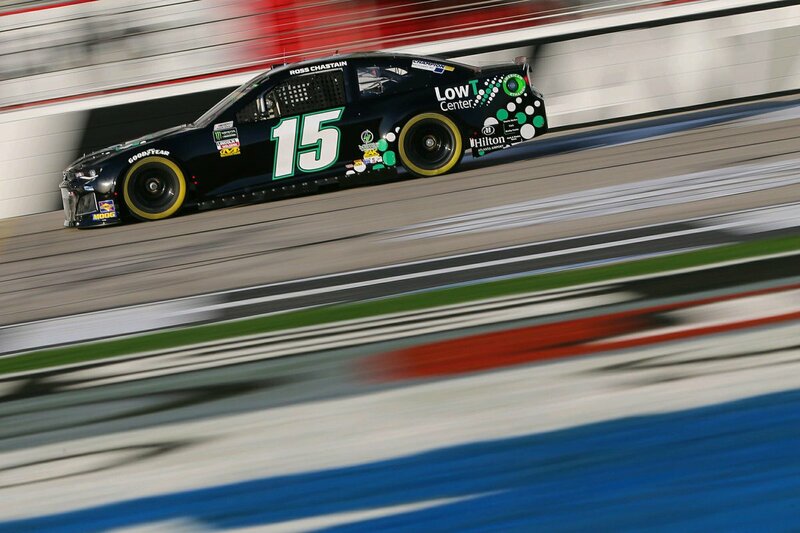 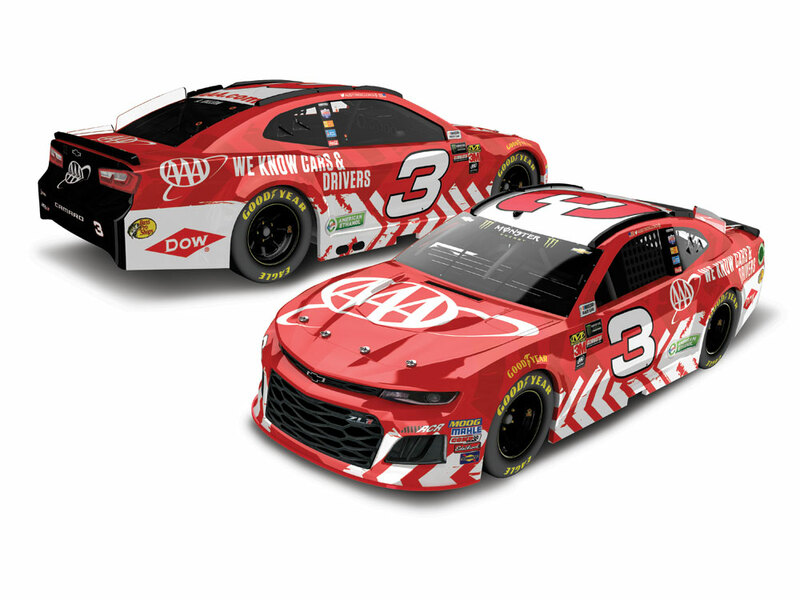 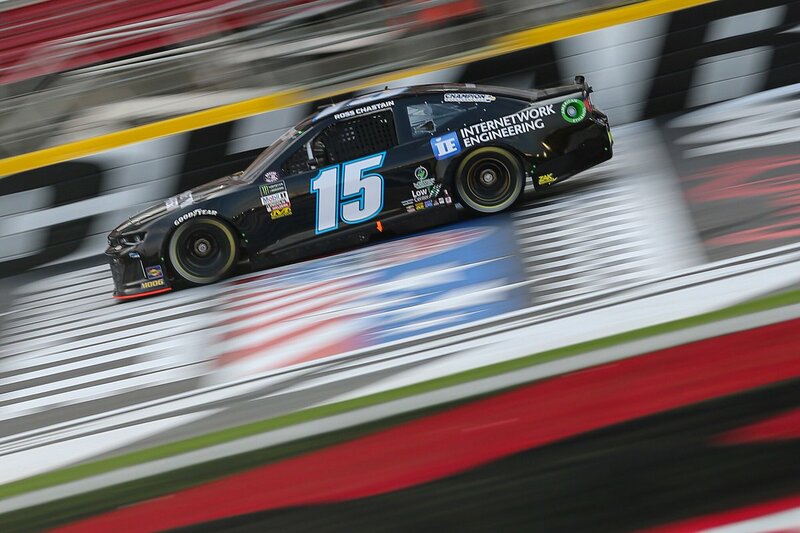 These teams include Richard Childress Racing, JTG Daugherty, Richard Petty Motorsports, Roush-Fenway Racing, and Front Row Motorsports. 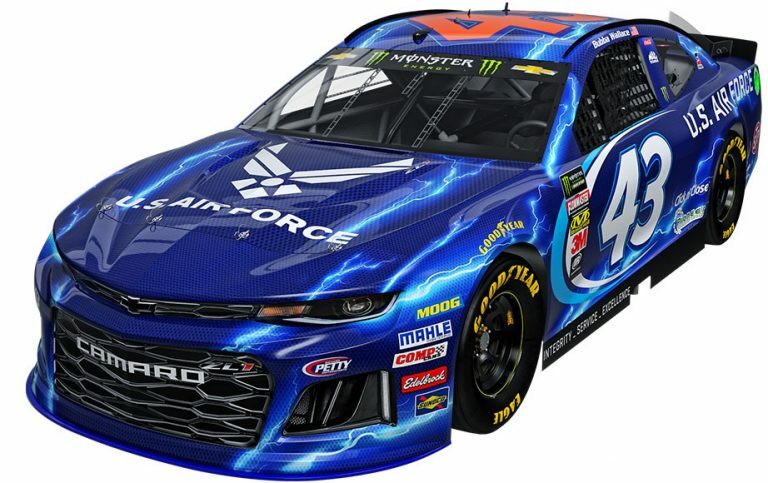 These are all teams that while they have multiple teams and decent sponsorship, they aren’t championship caliber, even though they do often make the playoffs and win races. 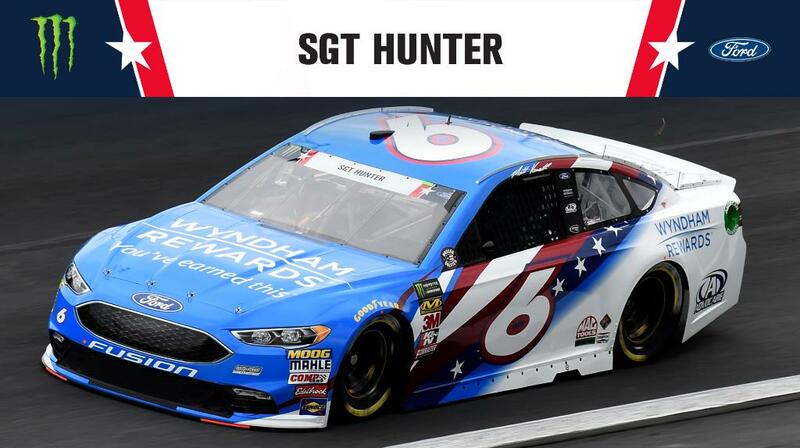 The have a decent driver or two, and have decent fan bases. 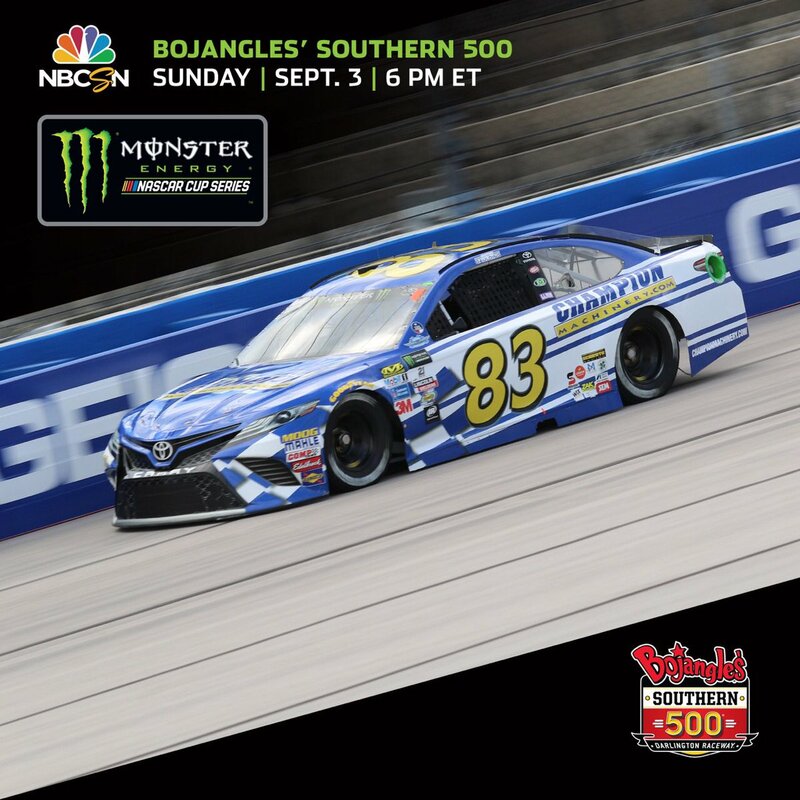 One of the most well-known and least appreciated of these teams is Front Row Motorsports. 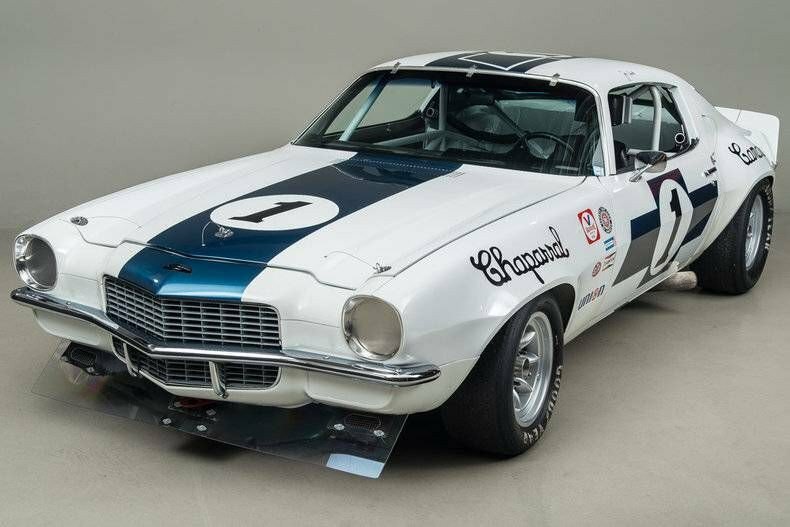 Founded by Bob Jenkins and Jimmy Means in 2005 as a single-car team, the original team merged will Mach 1, and began a two-car operation. 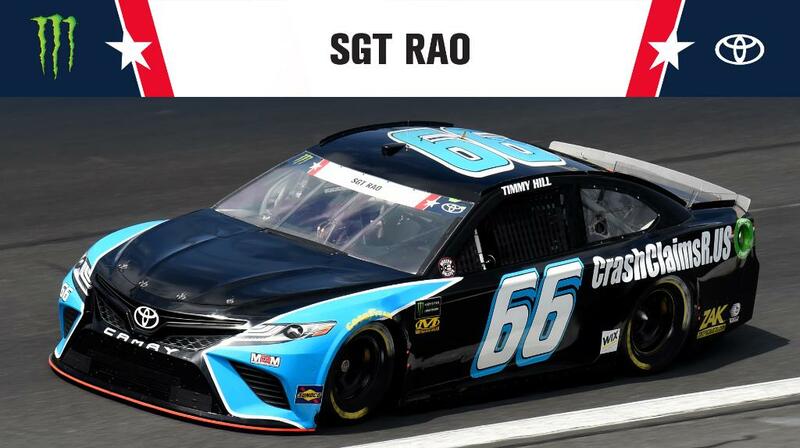 Eventually, the team shad as many as three teams, with two full time. 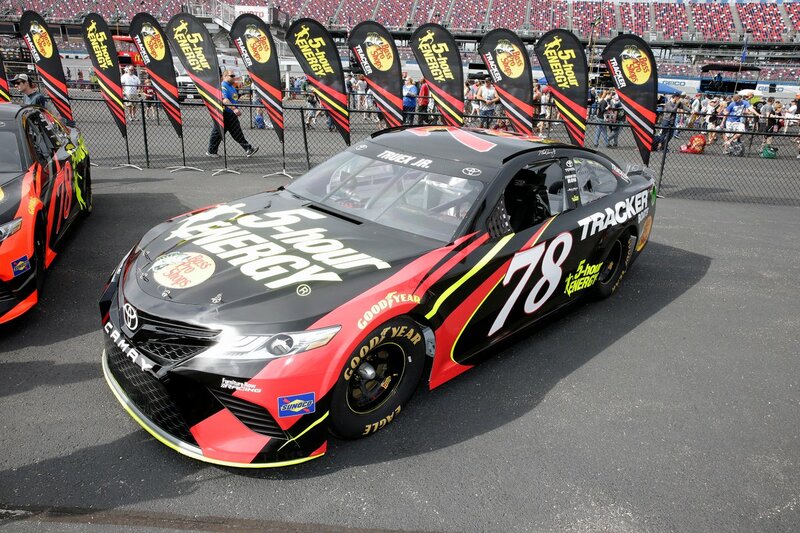 Since team owner Bob Jenkins owns over 150 franchises from Yum! 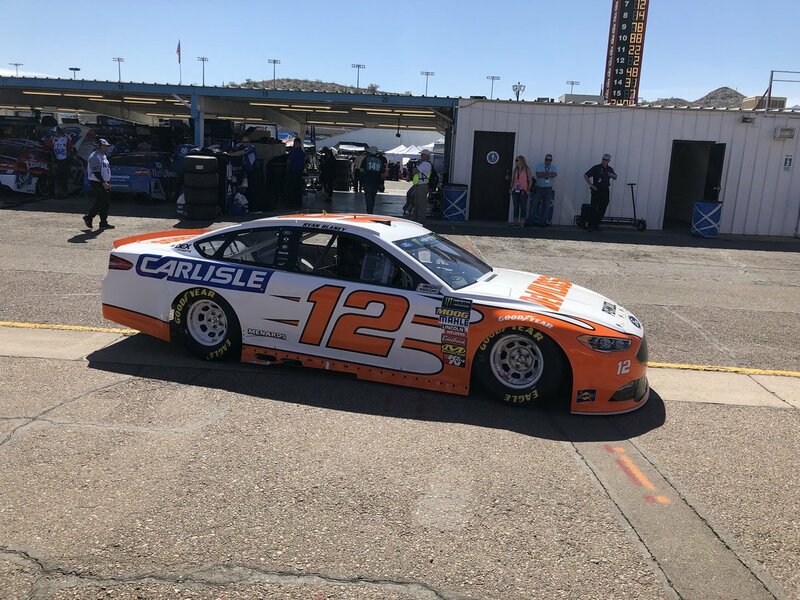 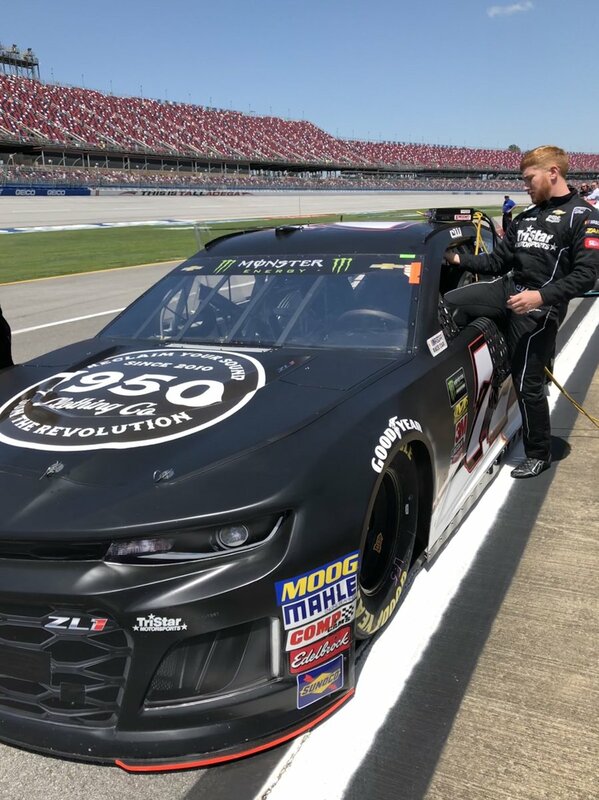 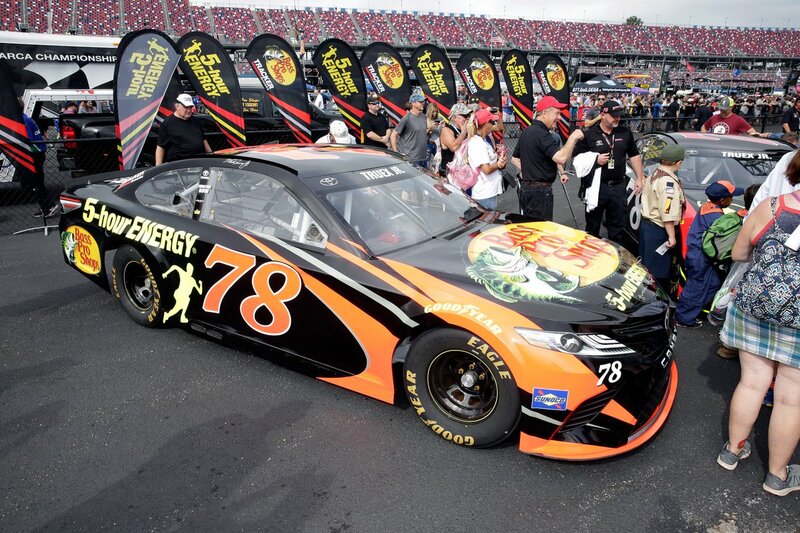 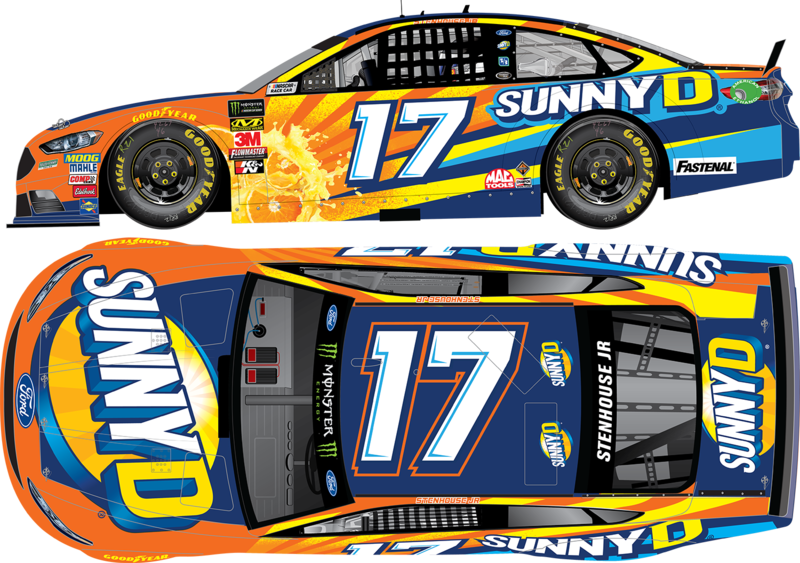 Brands, including Taco Bell and Long John Silver’s, as well as Morristown Driver’s Services or MDS, those sponsors frequently appear on the sides of his cars. 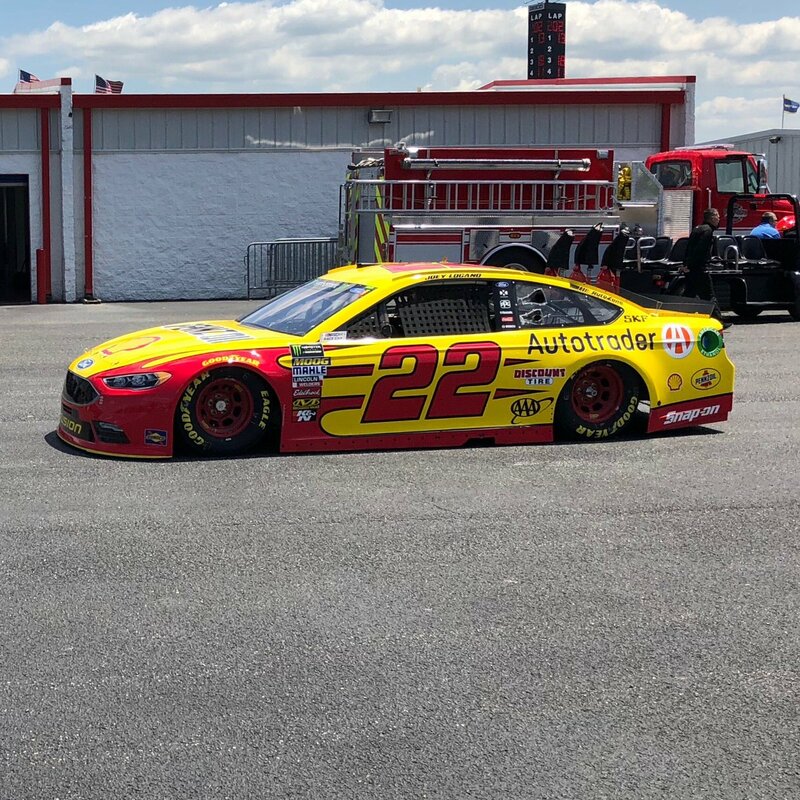 While the team hasn’t shown much strength on many tracks, they show strength on superspeedways. 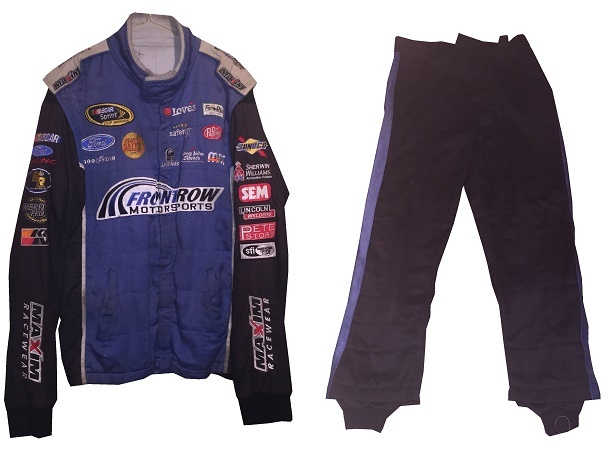 Founded some time in the early 2010’s, Maxim Racewear was a small-time operation that provided crew uniforms to lower-end teams, and eventually was found by some teams in the upper echelons of NASCAR, including Front Row Motorsports. 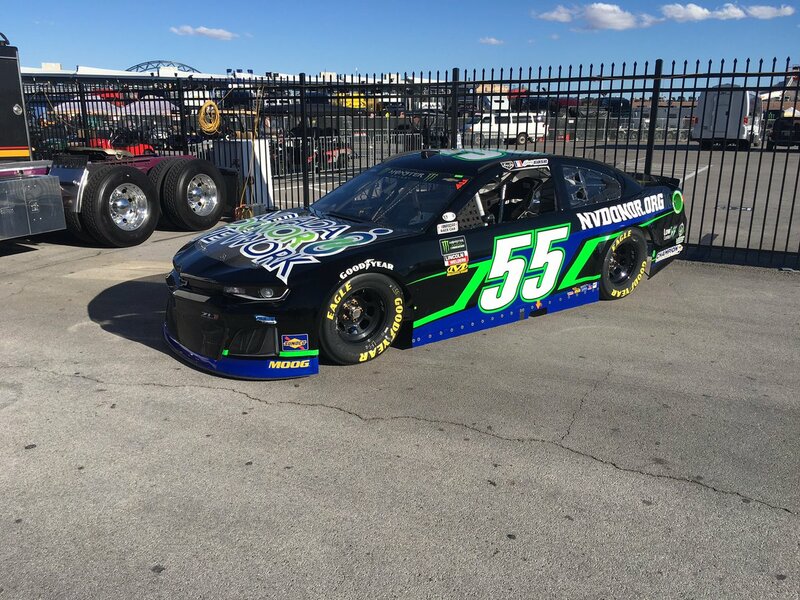 The company went out of business around 2015, so information on them is difficult to get. 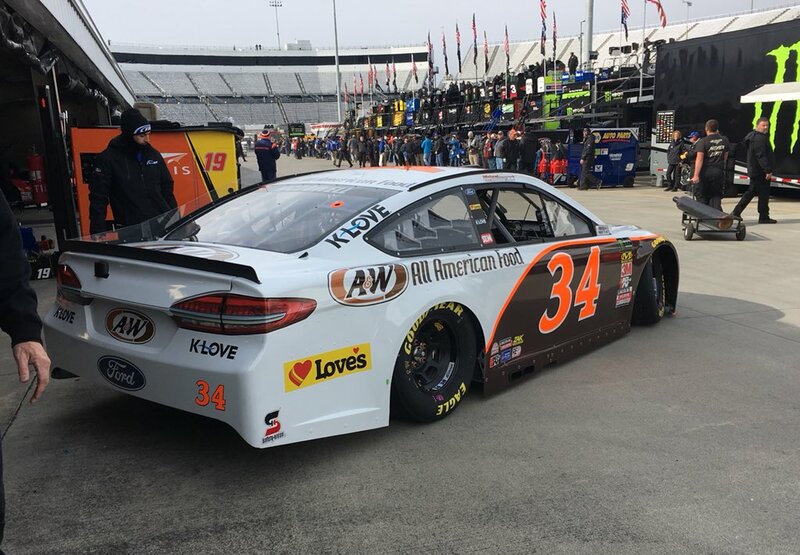 One team they made pit crew uniforms for is Front Row Motorsports, as evidenced by this 2013-2014 example. 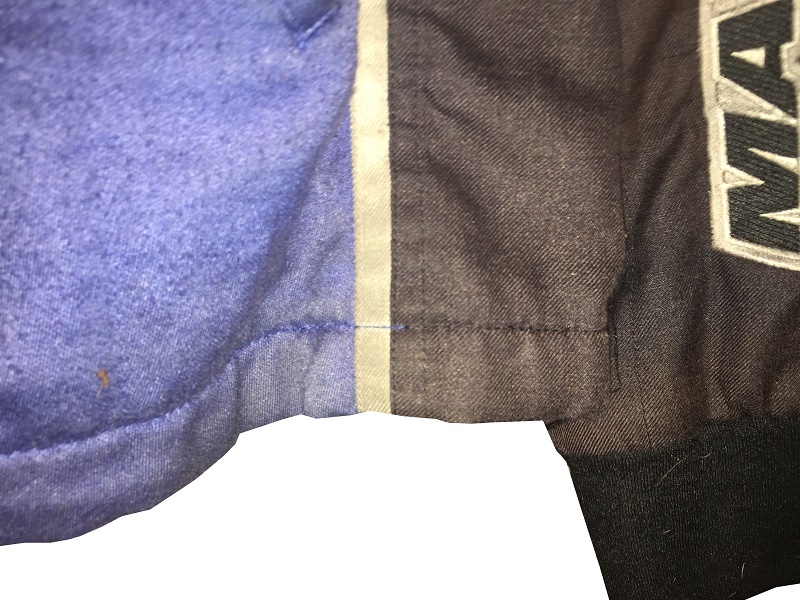 This mismatched suit shows decent use, with scuff marks and stains. 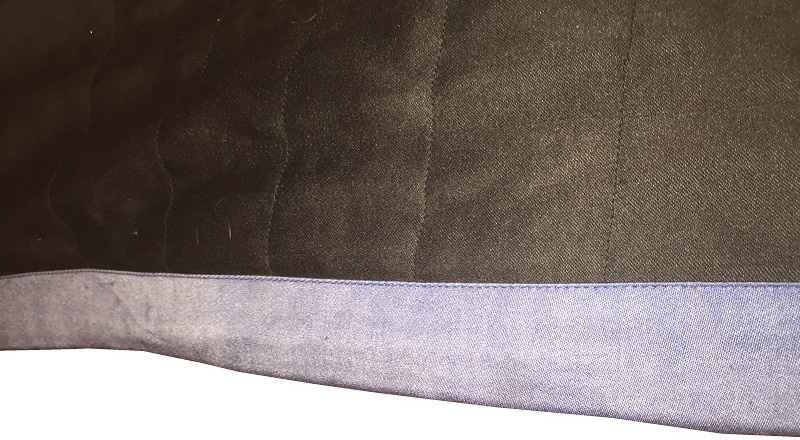 The blue collar has silver accents, and is unadorned. 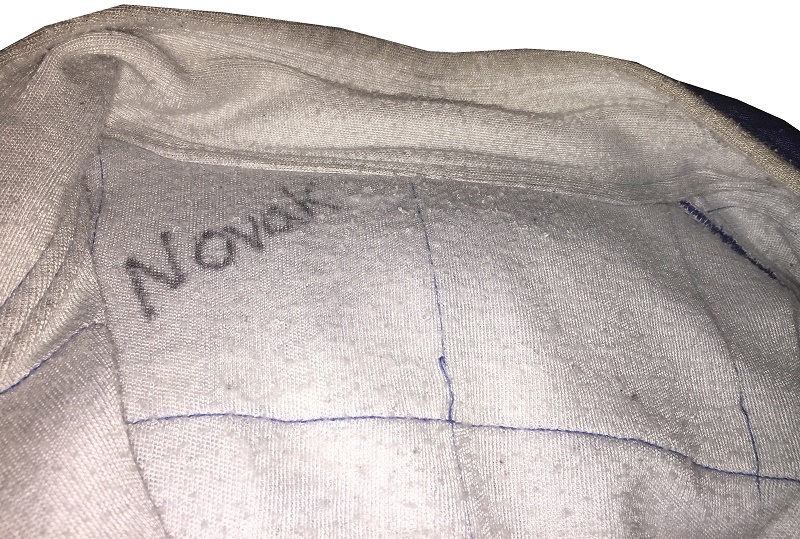 The name NOVAK is written in Sharpie in the cowl. 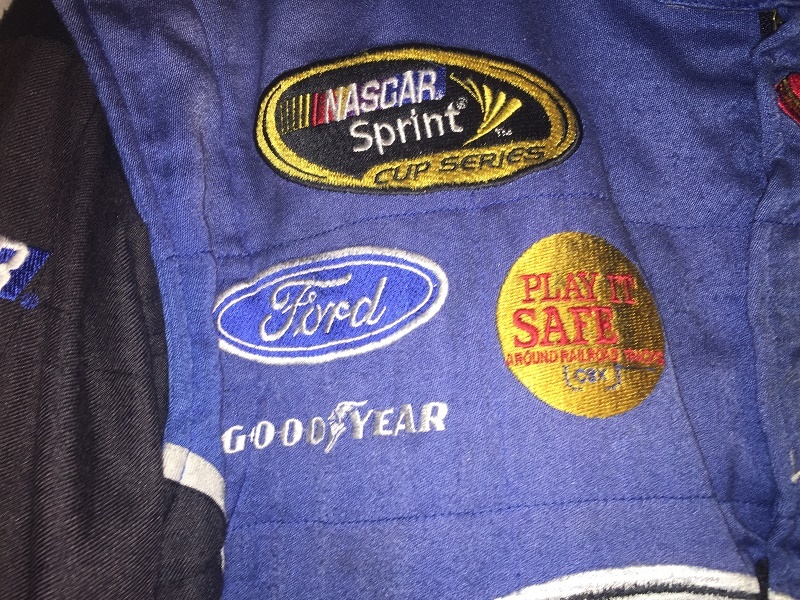 The right chest has NASCAR SPRINT CUP SERIES,FORD,CSX PLAY IT SAFE, and GOODYEAR logos embroidered into it. 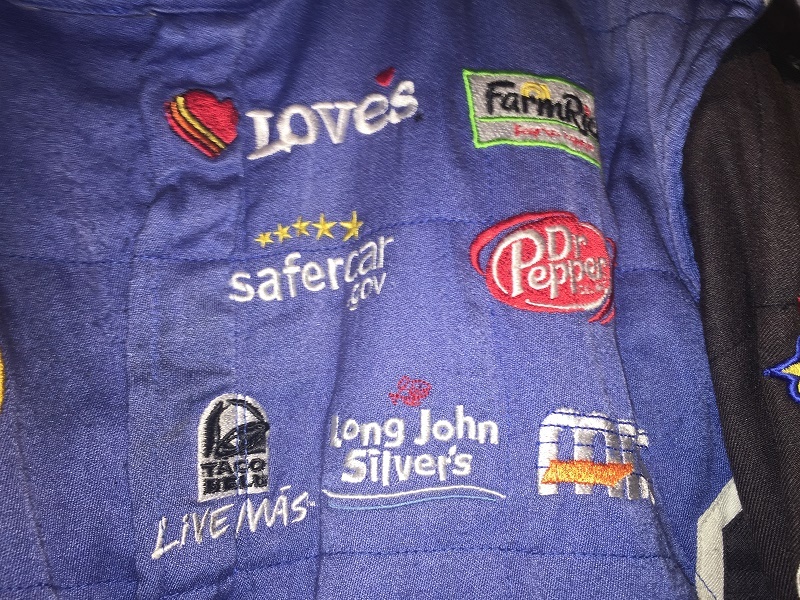 The left chest features LOVE’S TRUCK STOPS, FARM RICH, SAFECAR.GOV, DR PEPPER, TACO BELL, LONG JOHN SILVERS, and MDS logos embroidered. 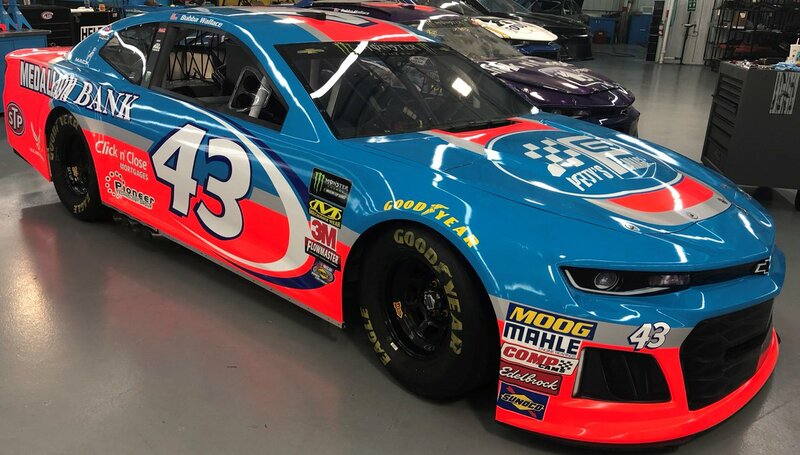 The front torso features a FRONT ROW MOTORSPORTS logo embroidered into it. 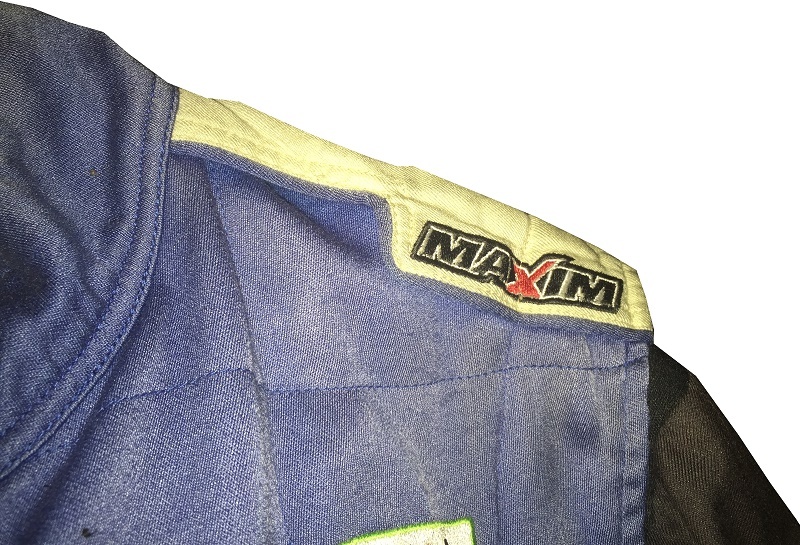 Inside the front zipper of the jacket features a Maxim Racewear warranty label. 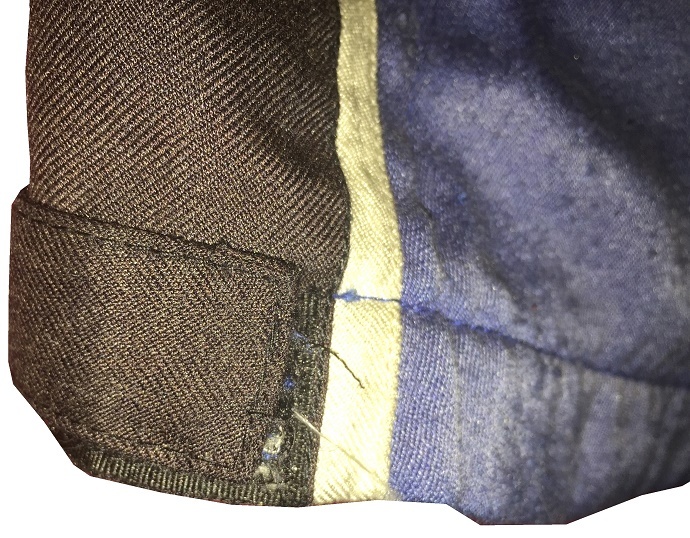 The sides of the jacket have Velcro comfort straps on the back. 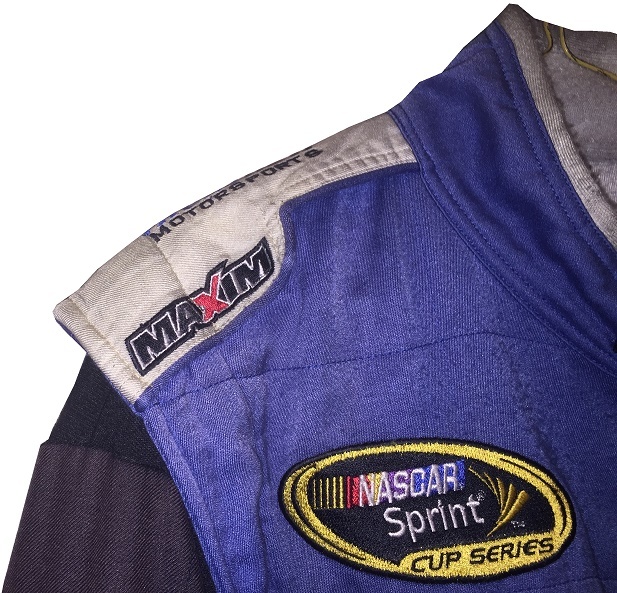 The shoulder epaulets have FRONT ROW MOTORSPORTS embroidered logos, as well as MAXIM RACEWEAR logos present. 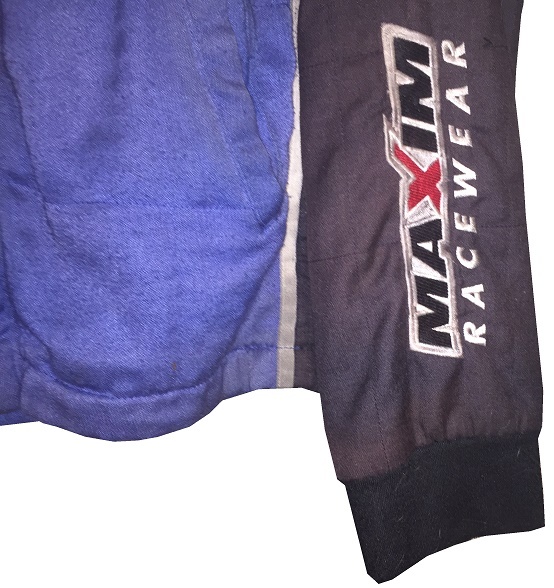 The right sleeve has NASCAR, FORD RACING, RACING RADIOS,MERIT PRO, and K&N logos on the upper sleeve, and a MAXIM RACEWEAR logo in television position on the end of the sleeve. 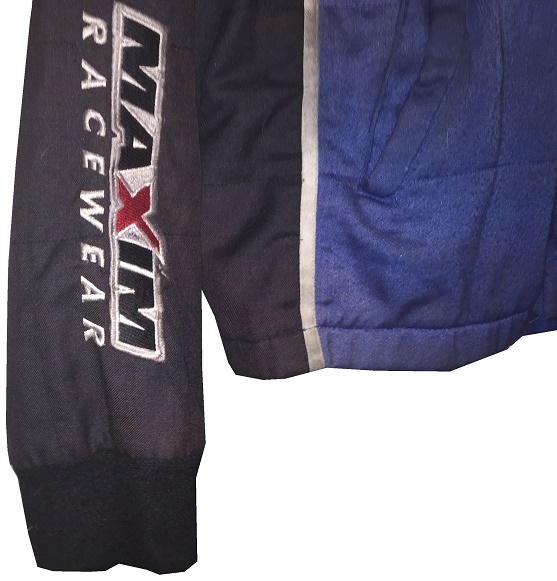 The left sleeve features SUNOCO, SHERWIN WILLIAMS, SEM, LINCOLN WELDERS, THE PETE STORE, and the SFI certification on the upper sleeve, and a MAXIM RACEWEAR logo in television position at the end of the sleeve. 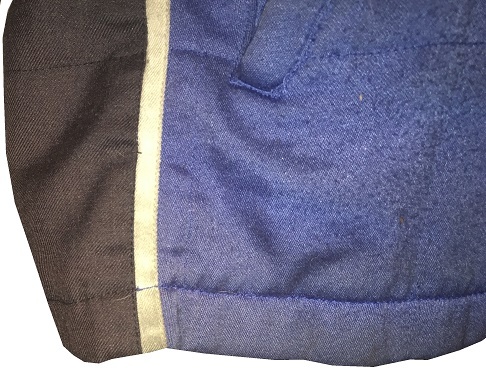 The back of the jacket shows some wear with a few scuff marks and stains. 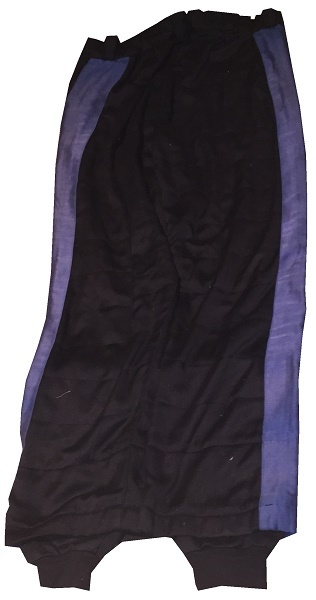 The back of the neck is unadorned. 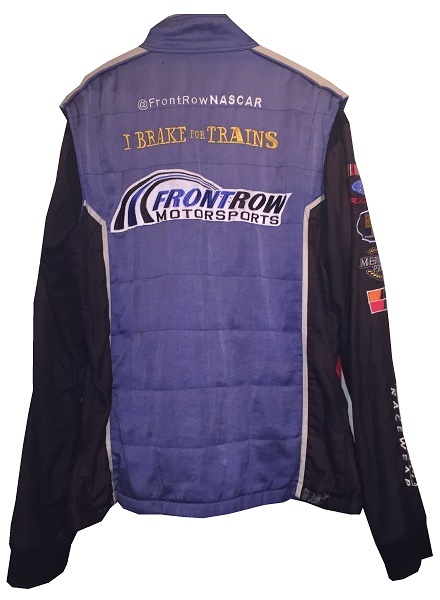 The back torso has @FRONTROWNASCAR, I BREAK FOR TRAINS, and a FRONT ROW MOTORSPORTS logo embroidered into it. 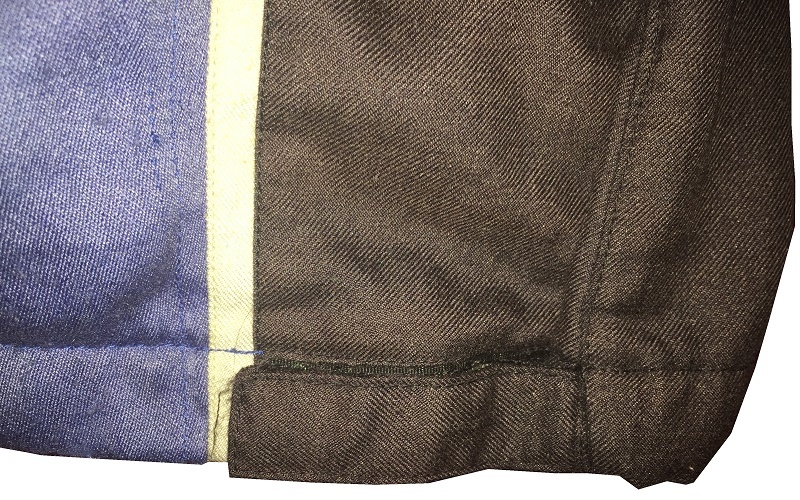 The pants show decent use, with the tag destroyed, and some scuff marks. 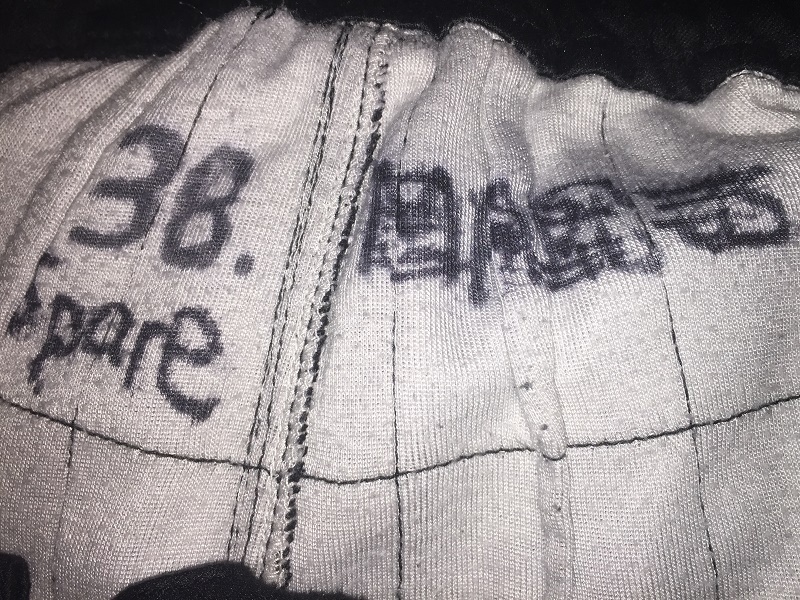 In the inside of the pants is written 38 SPARE and some Asian lettering. 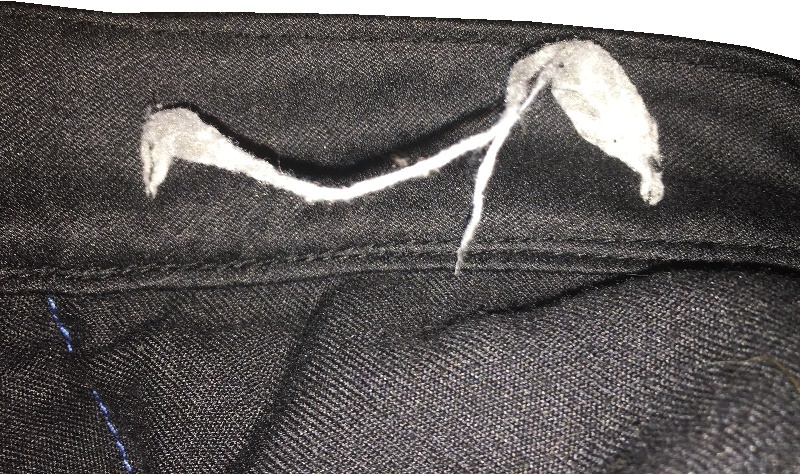 There is a tag in the waist of the pants, but the pants have been washed some many times, the tag has been destroyed. 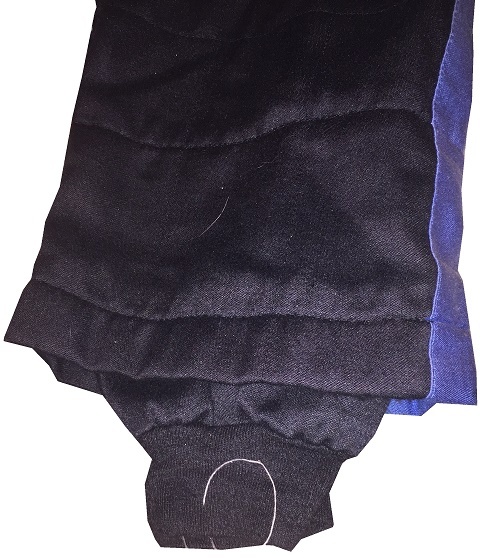 The black pants have a blue stripe up the sides, and has boot cuffs, though the cuffs do show some wear. 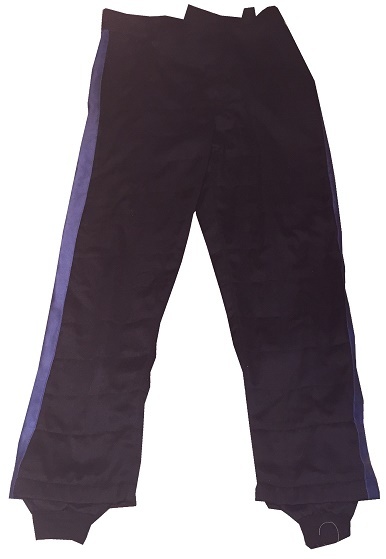 The back of the pants show some light wear. 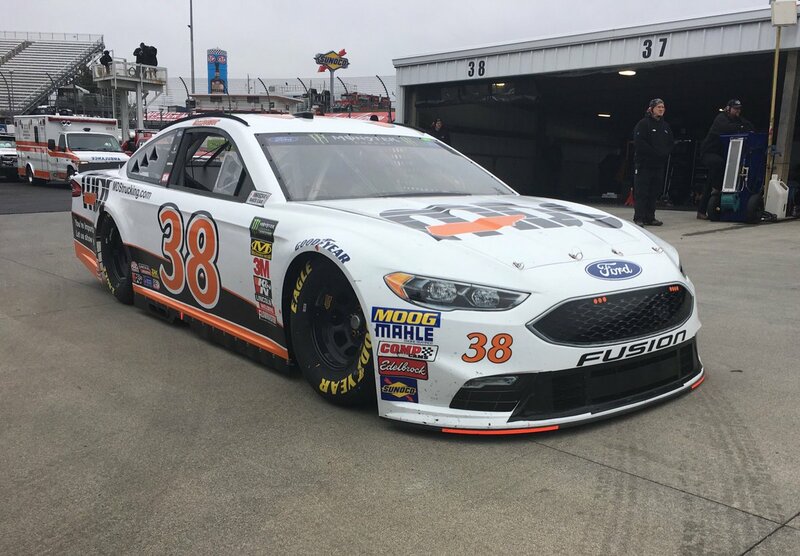 Front Row Motorsports is a little team that can, and they have a number of wins in the Cup Series. 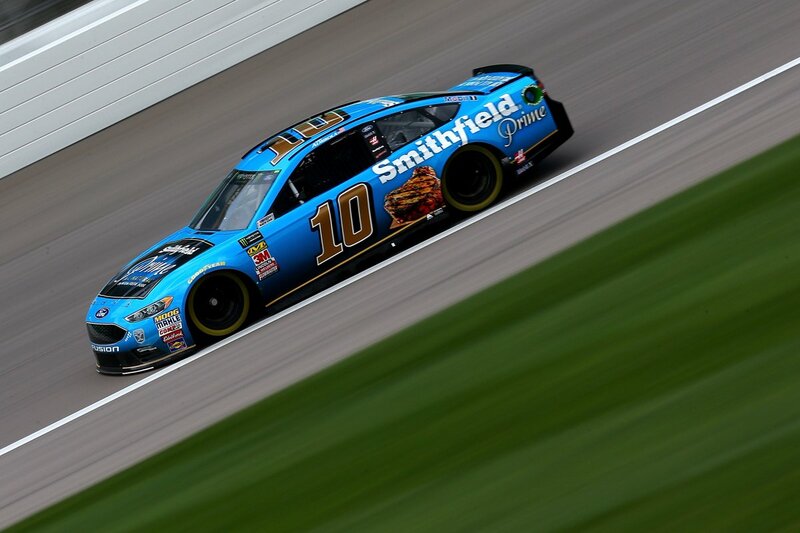 They have had a lot of talented drivers, and I hope they have a lot of success in the future. 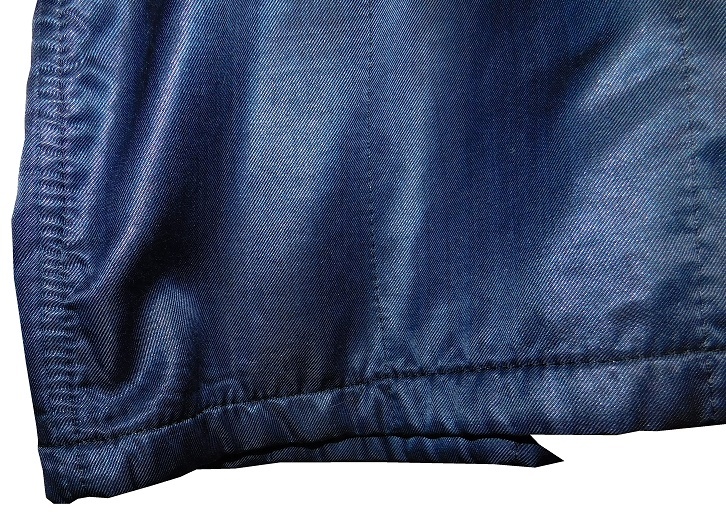 Next Week, The Vest Project continues. 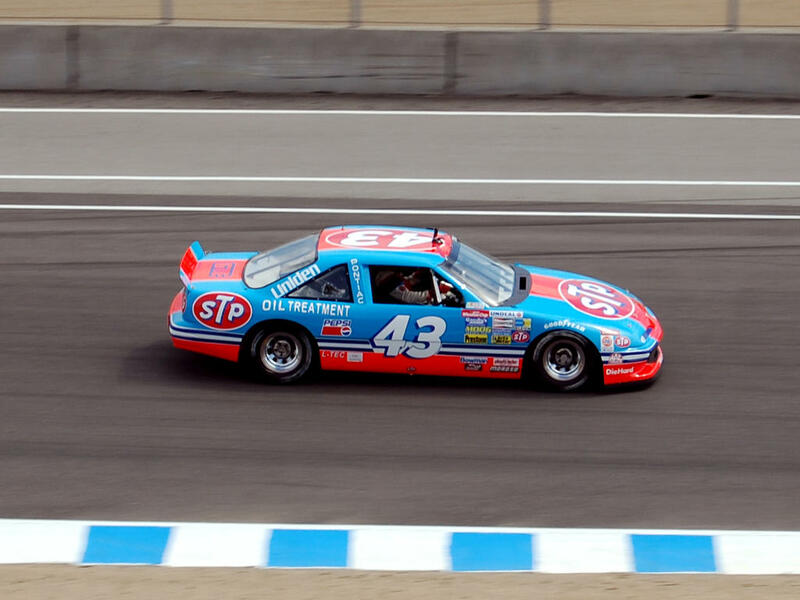 The Ferrari 312P is a really boxy car. 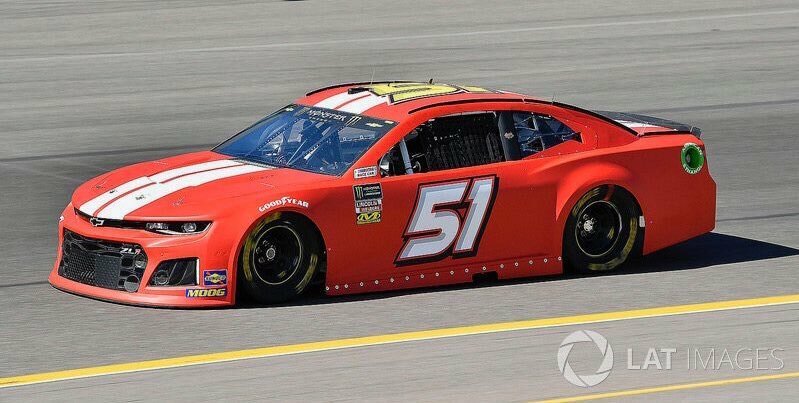 The shade of red works very well. 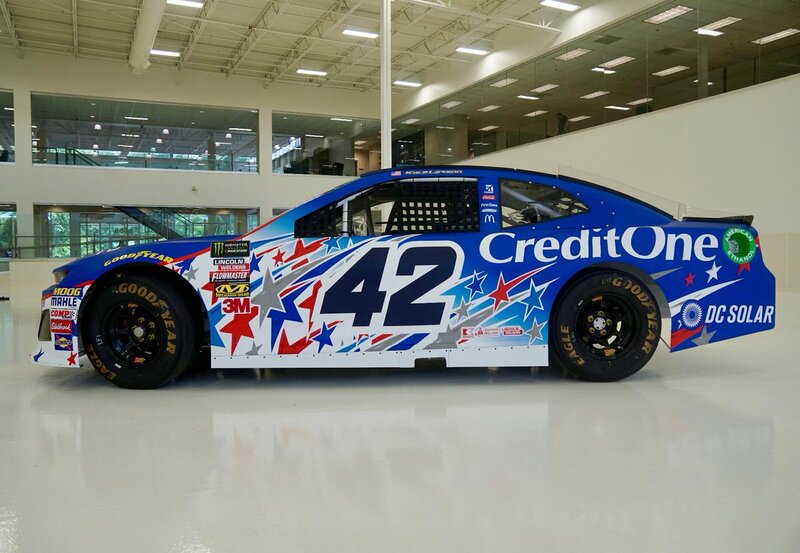 The blue and white stripe across the whole car works very well too. 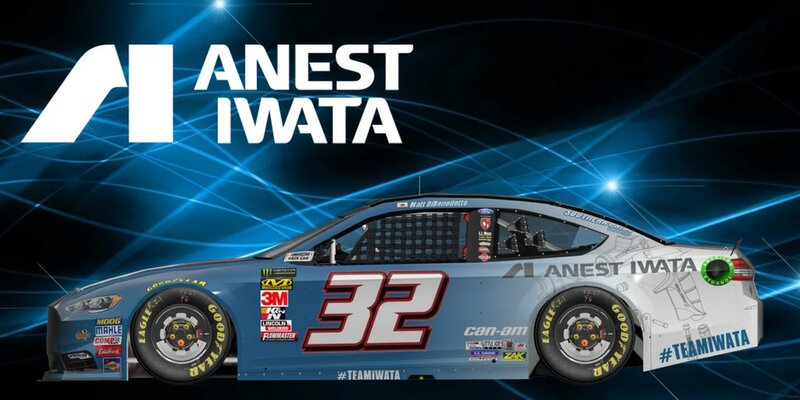 The car looks very good across the board, both in design and look, and it earns an A. 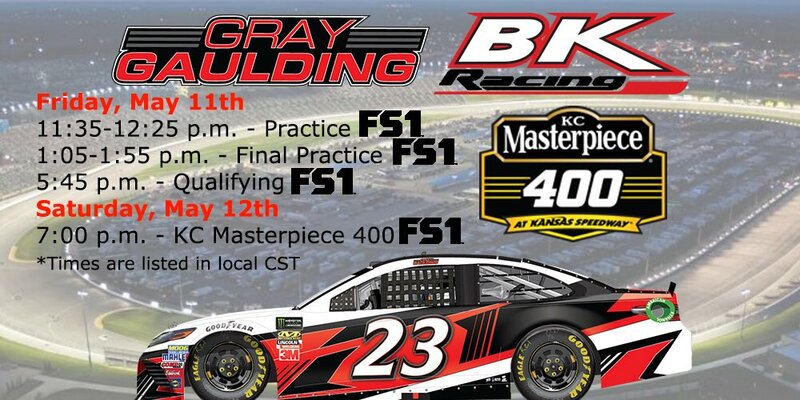 Starting next week, I am taking my yearly summer sabbatical. 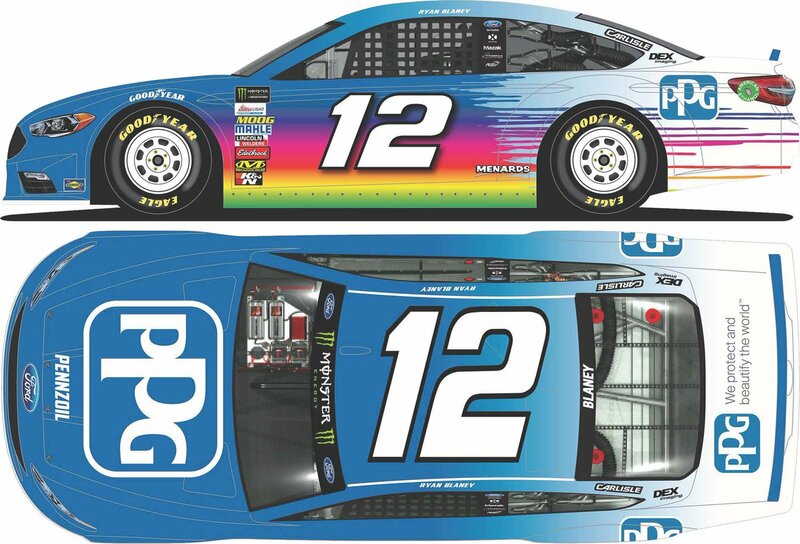 Every year, I take the entire month of July off, because I want a chance to enjoy Chicago in the summer. 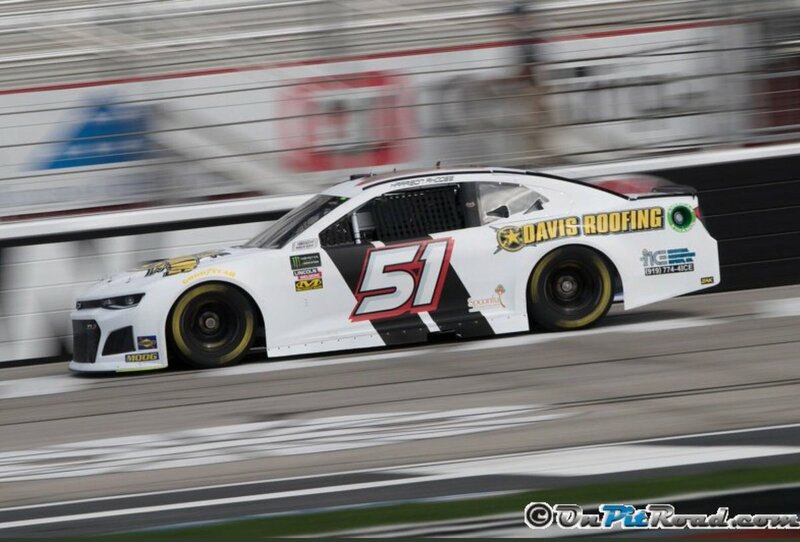 There will be videos, Throwback Thursdays, and Friday Features, but I won’t update the Tracker, the Grades, or My Thoughts On. 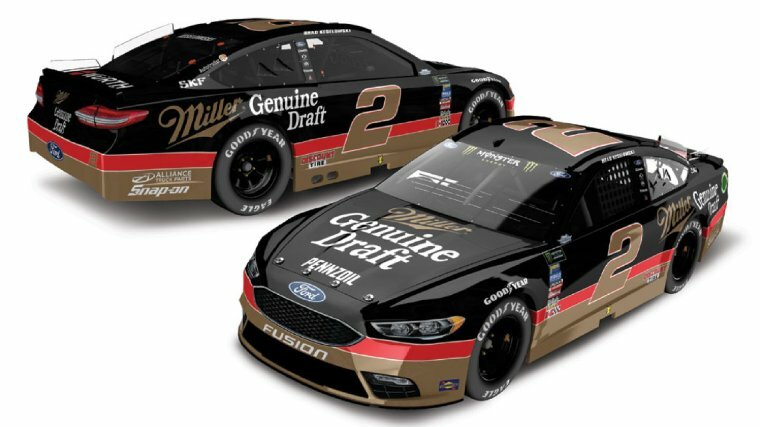 I have been waiting for this for the entire year, an entire month, where I’m not spending my days at my real job, and then working on the website. 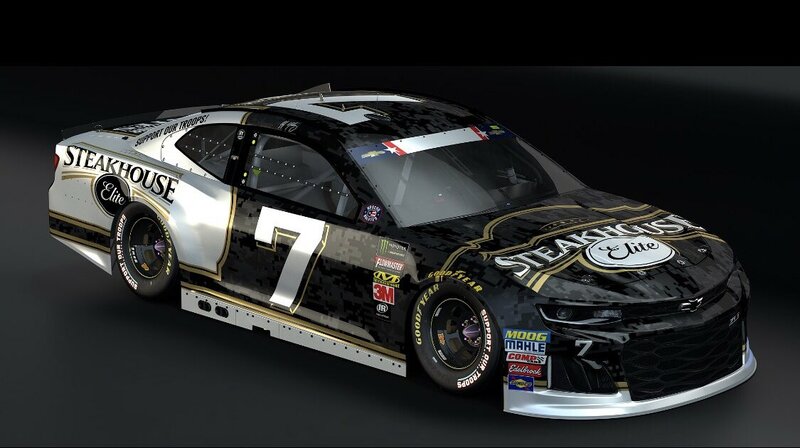 Don’t get me wrong, I enjoy The Driver Suit Blog, but I need a real break. 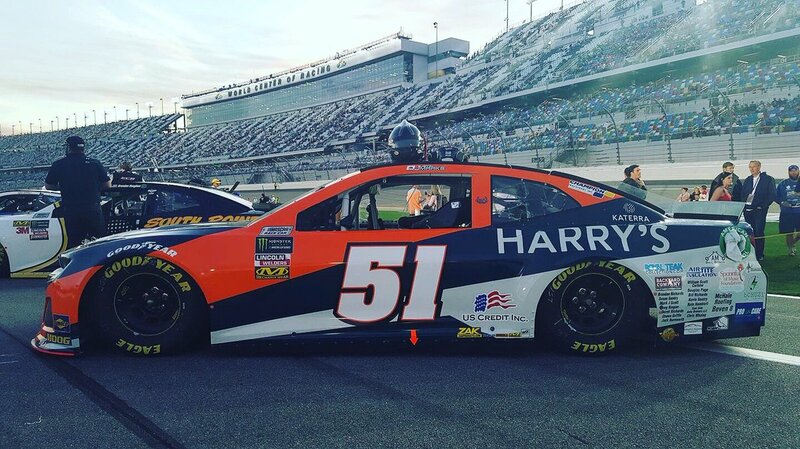 I do take a sabbatical in December, but that’s for several reasons. 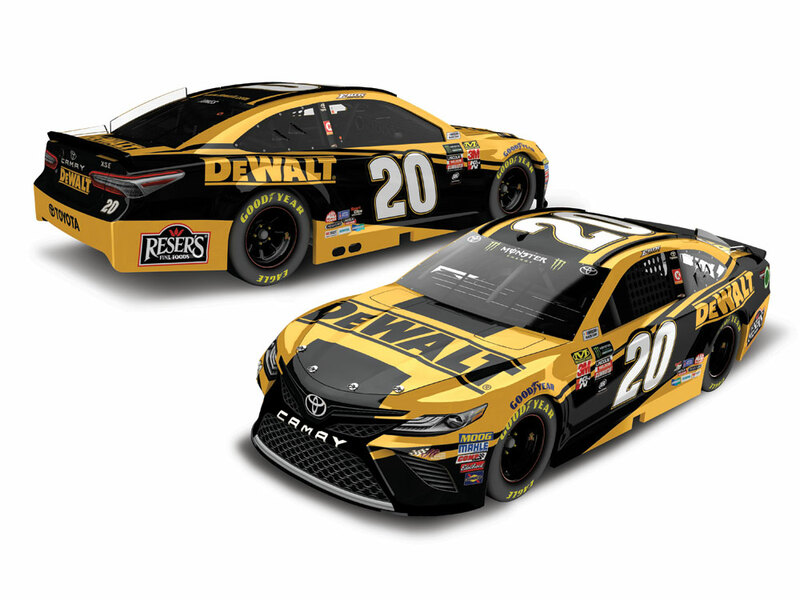 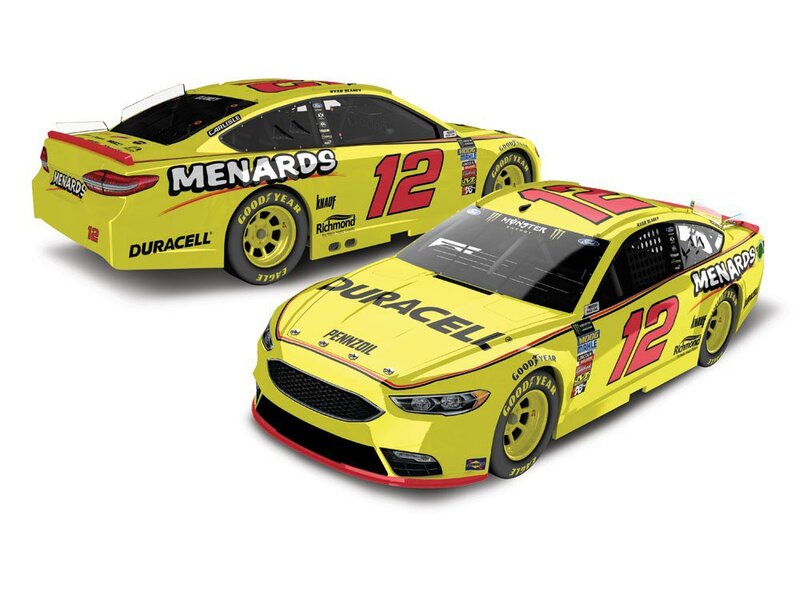 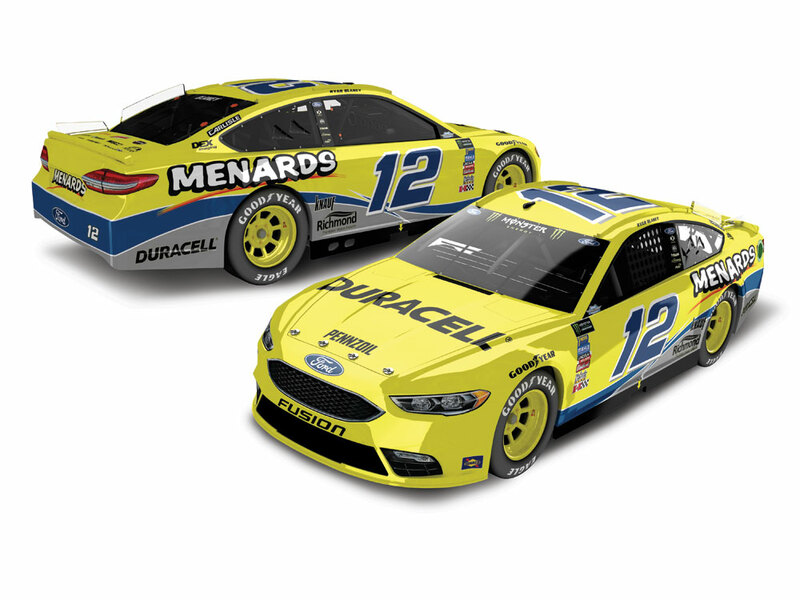 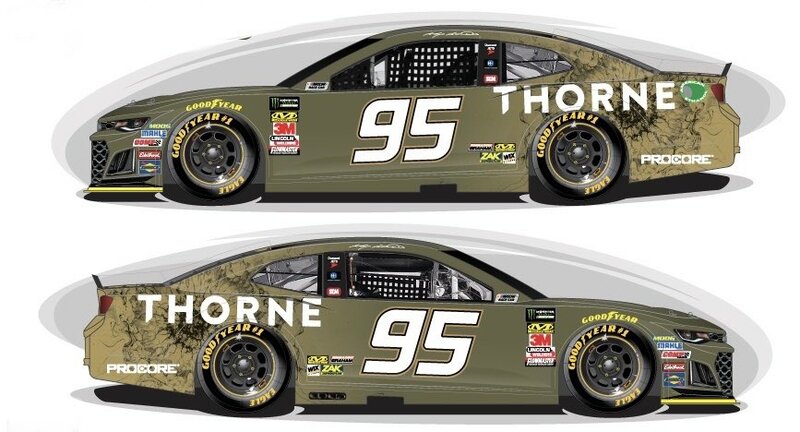 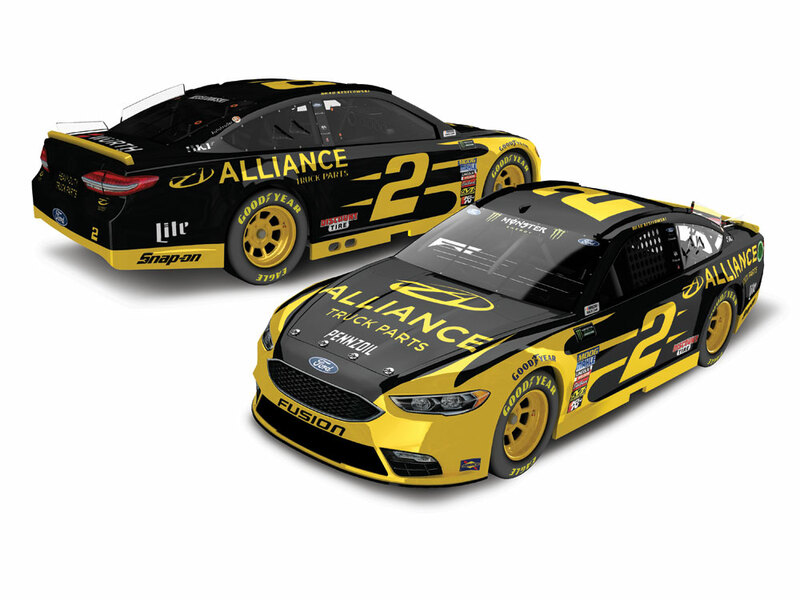 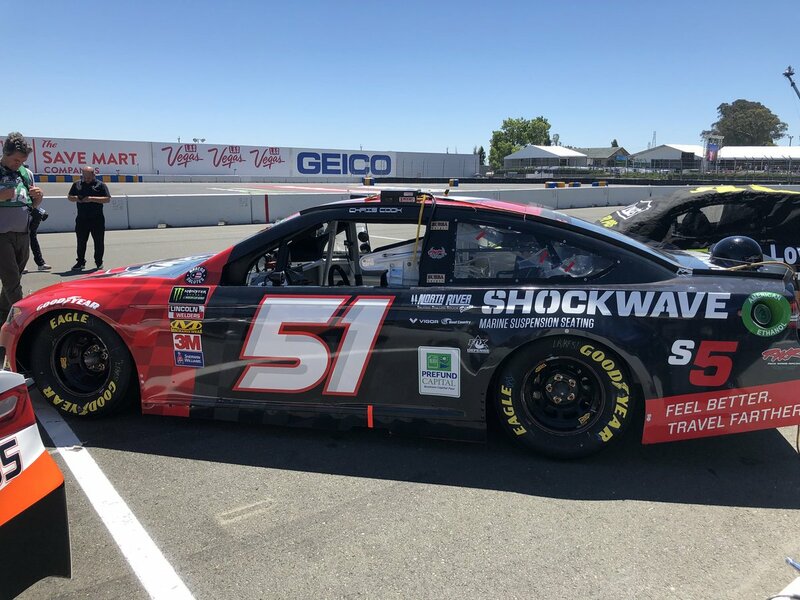 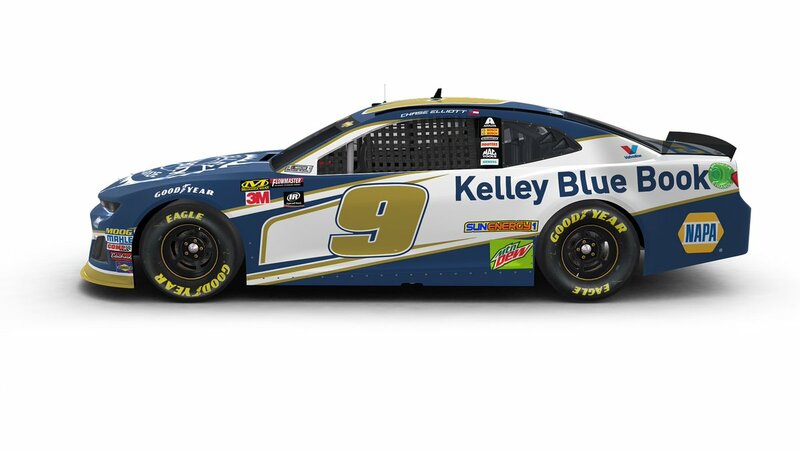 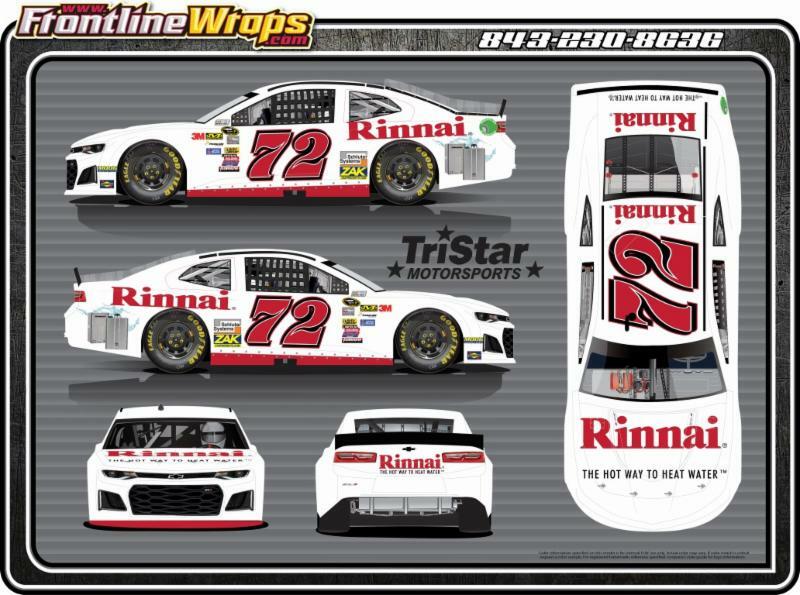 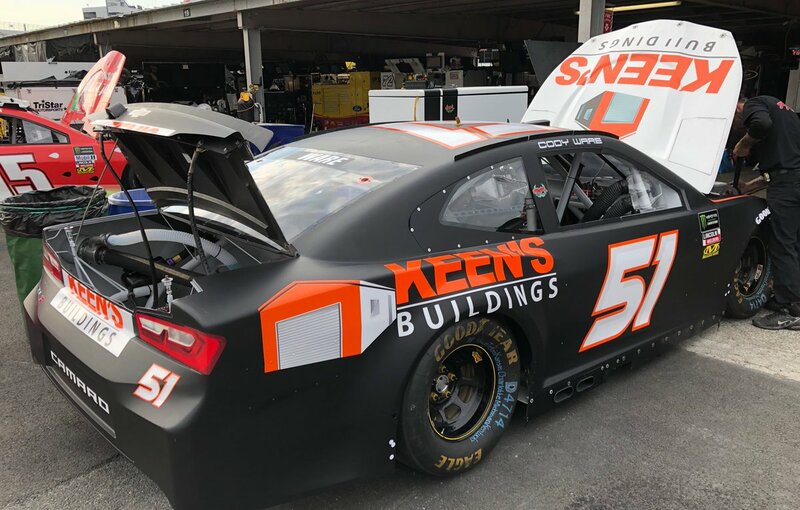 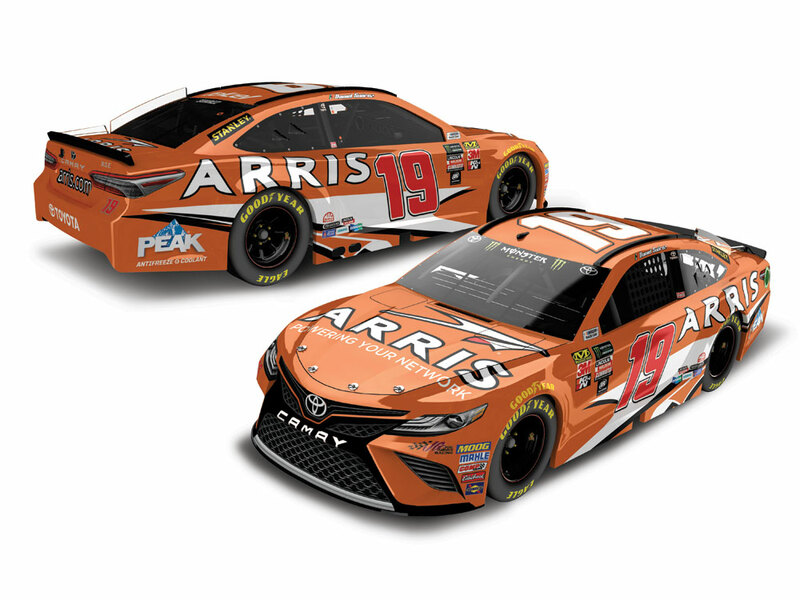 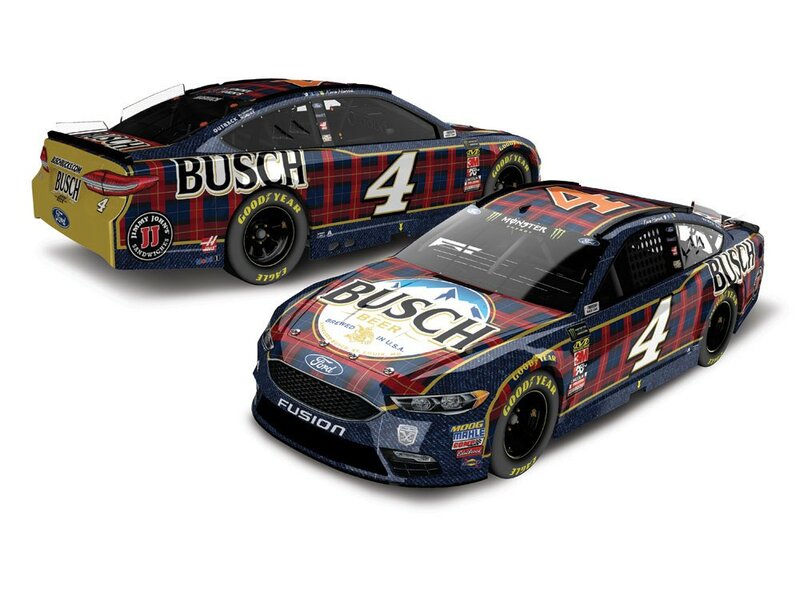 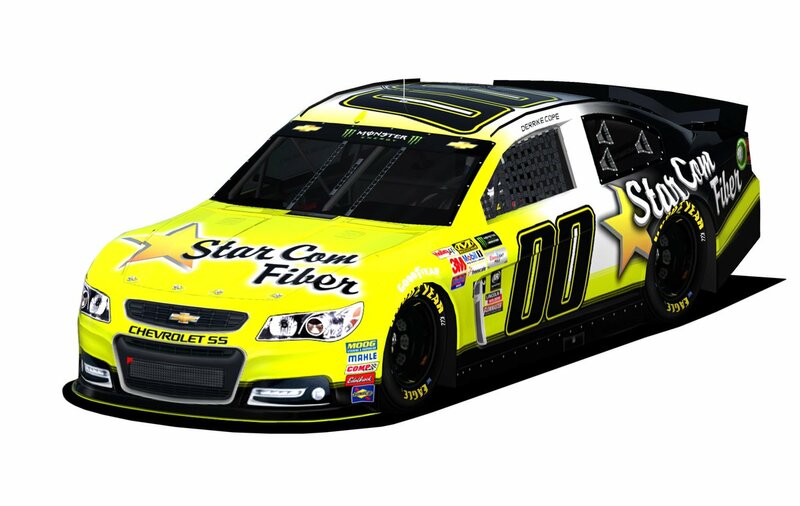 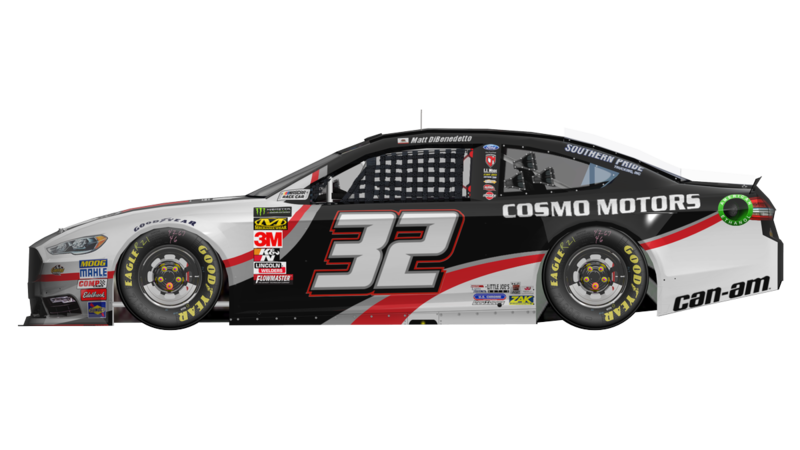 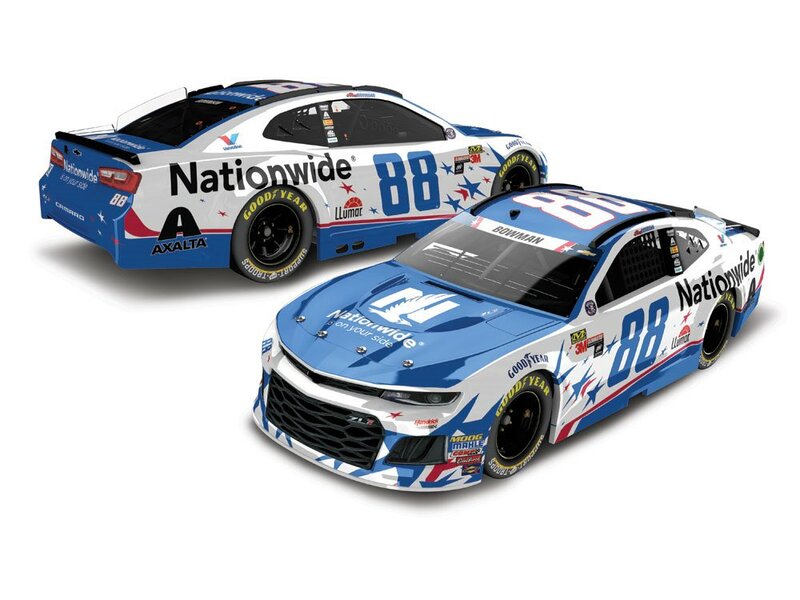 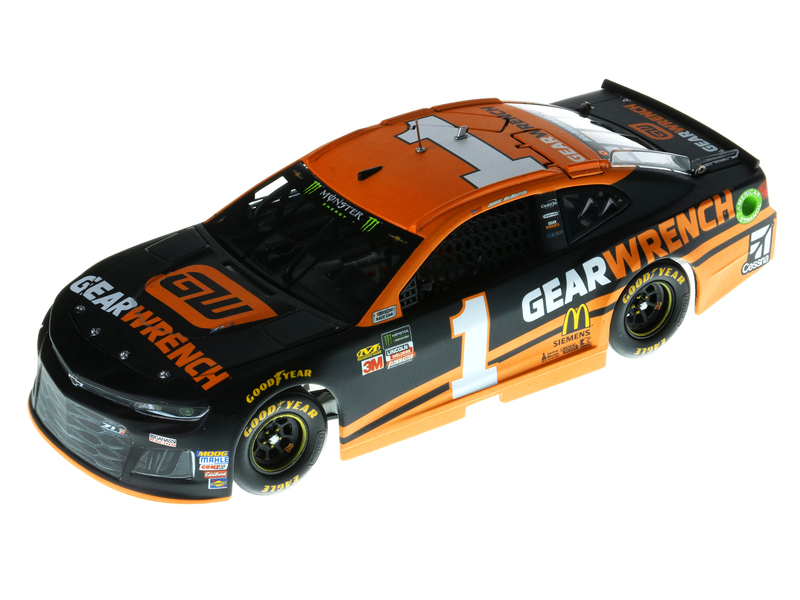 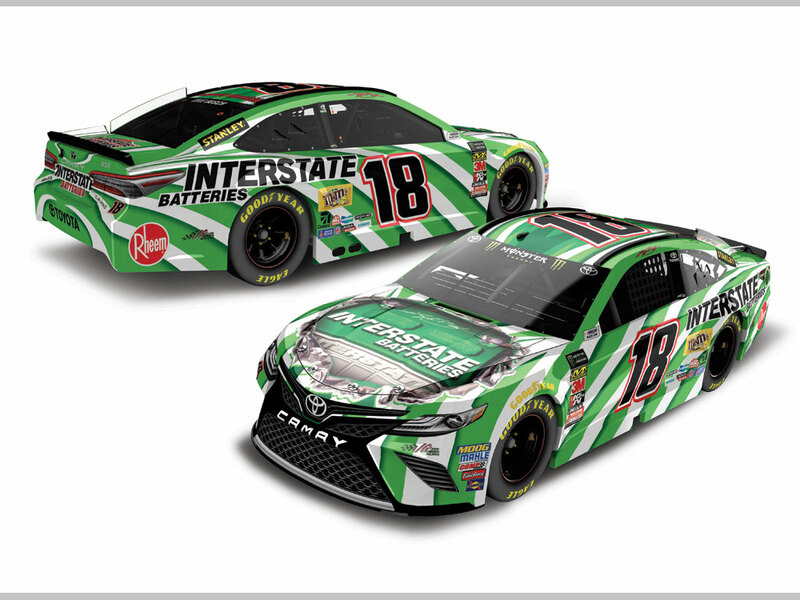 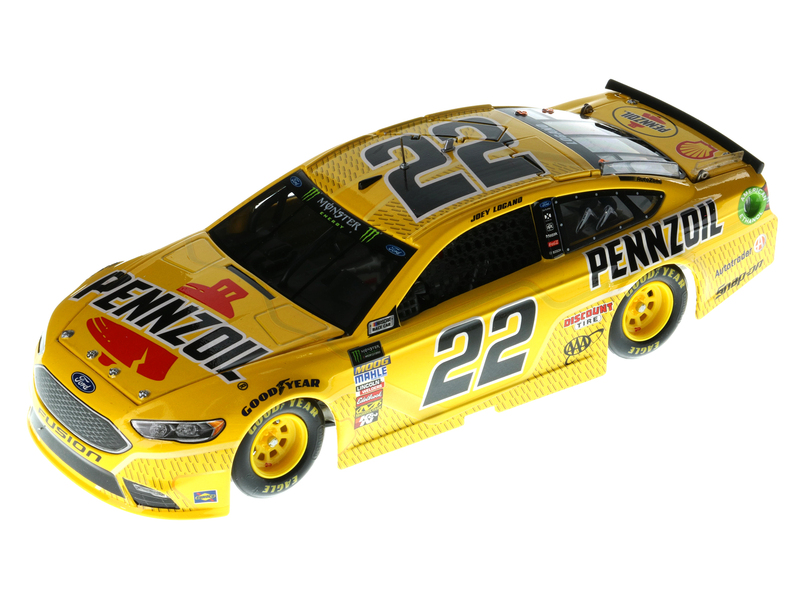 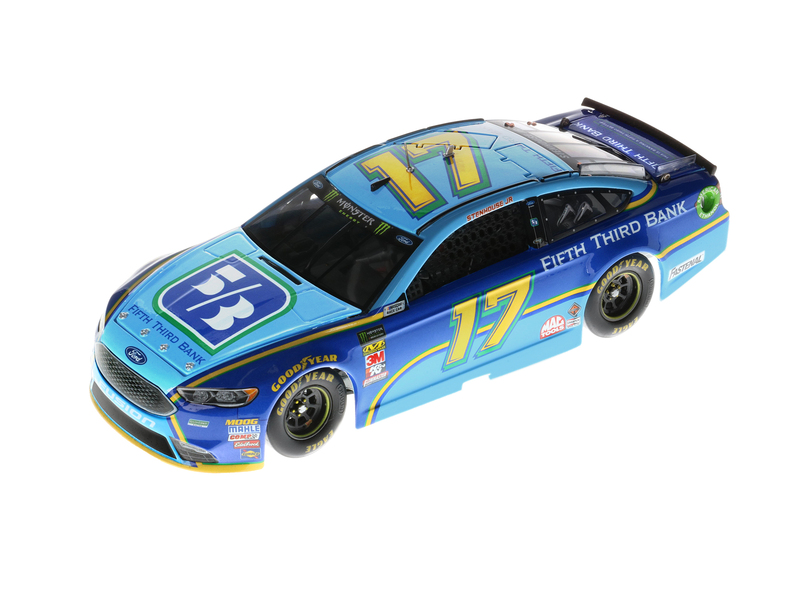 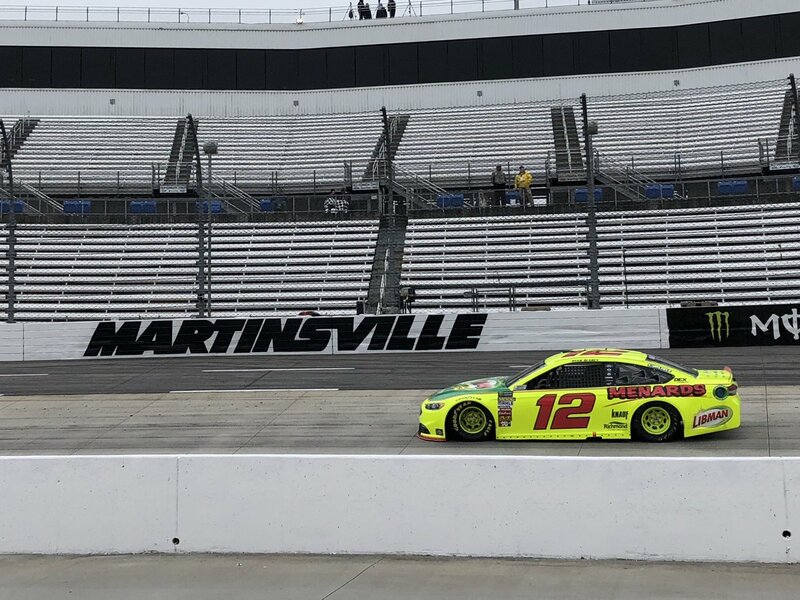 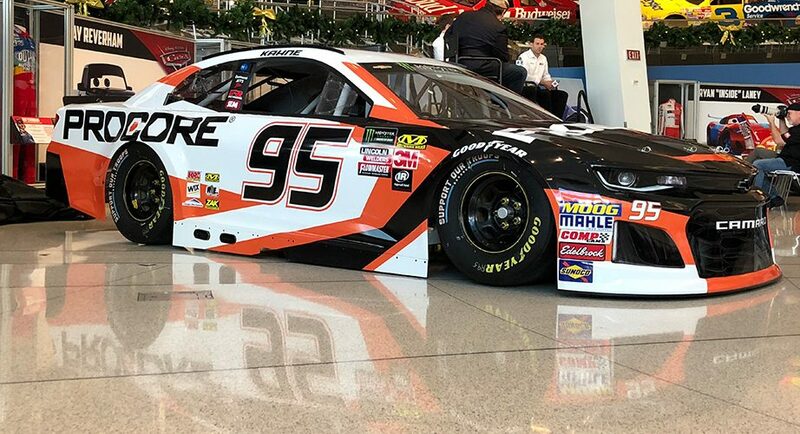 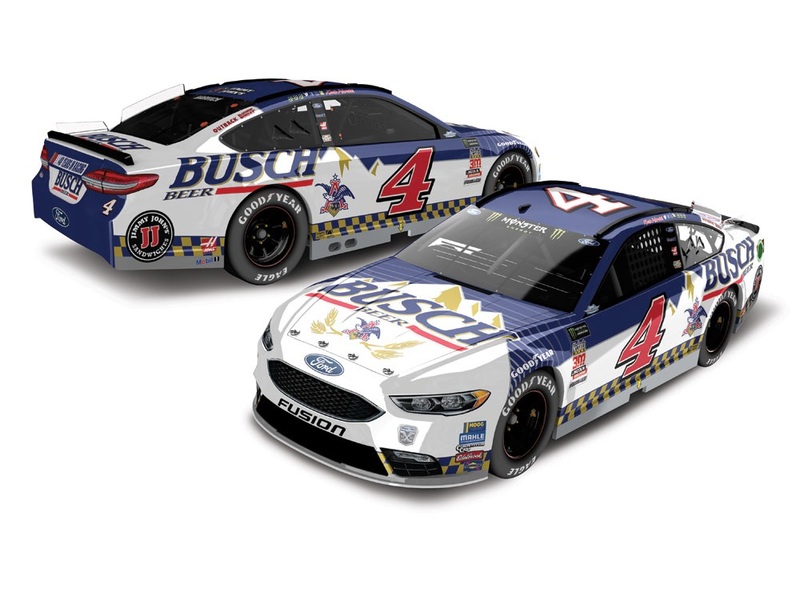 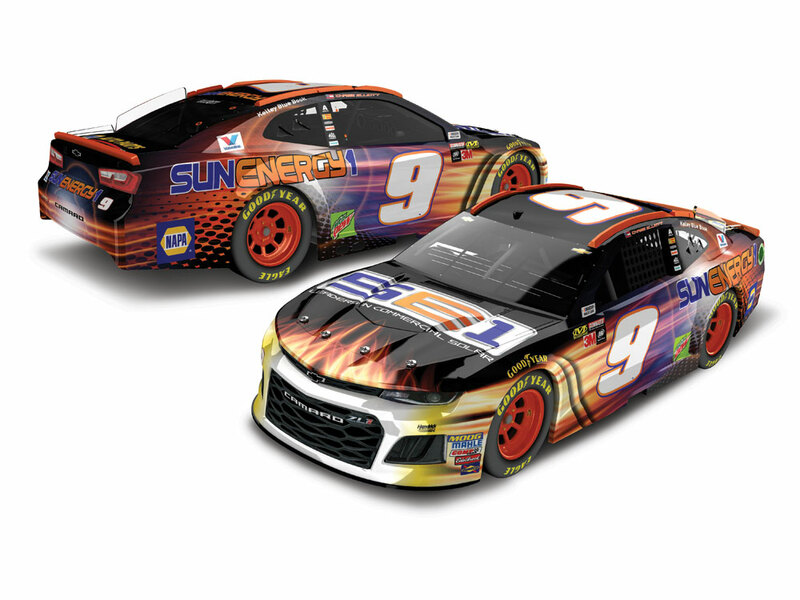 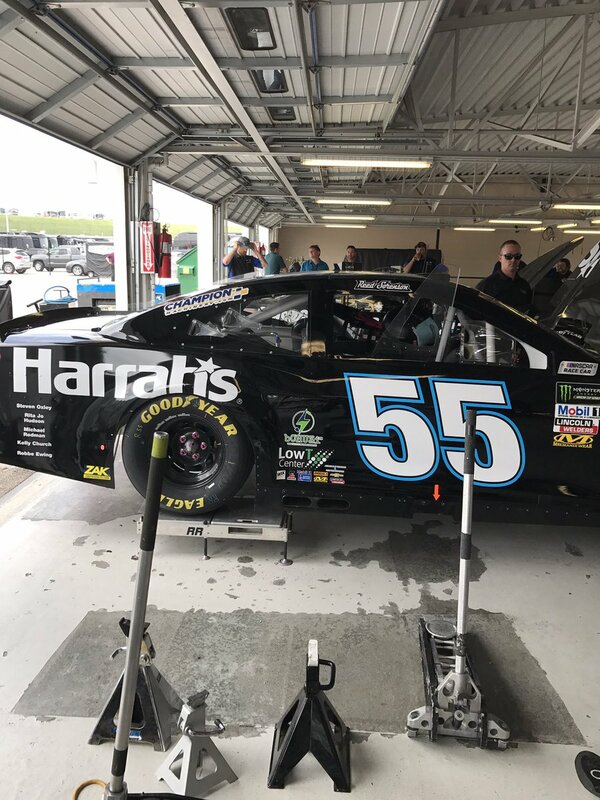 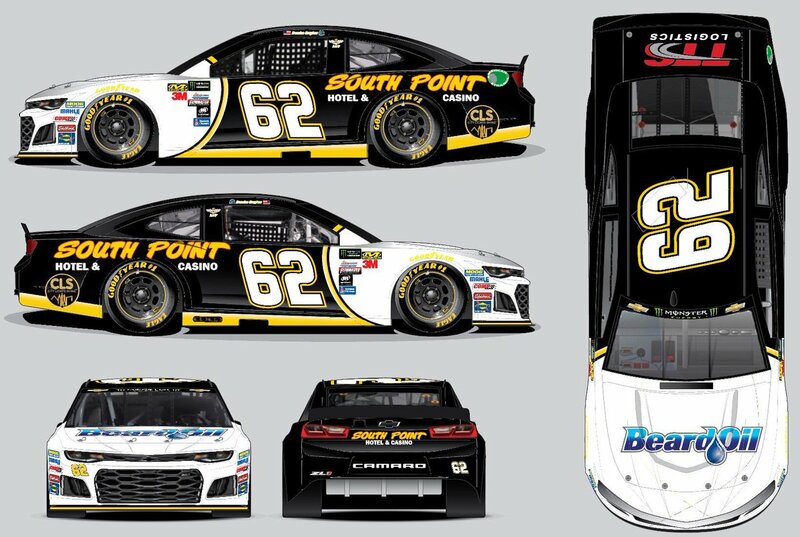 The first reason is that since there aren’t that many paint schemes being revealed, it isn’t worth the time to update the Tracker or the Grades. 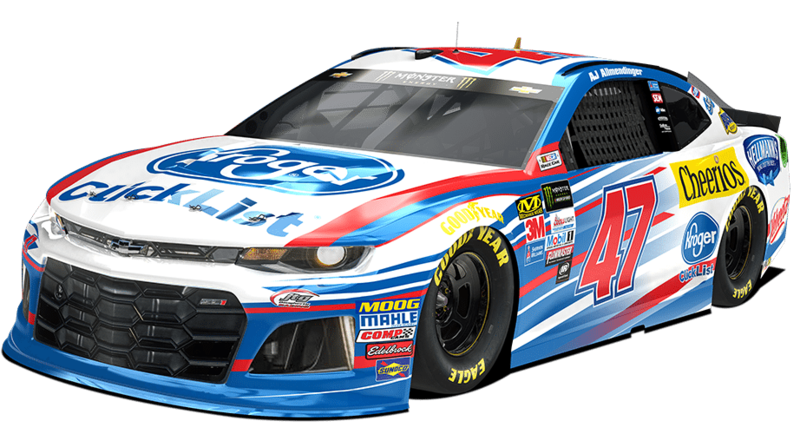 Second, this lack of paint schemes frees me up to work on other aspects of the site, including Throwback Thursday, and research. 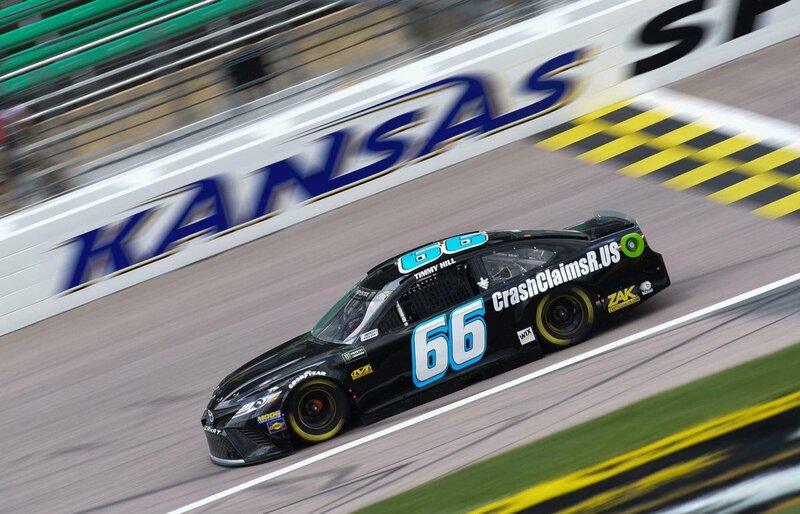 So while I’m not updating the site, I am working hard on it. 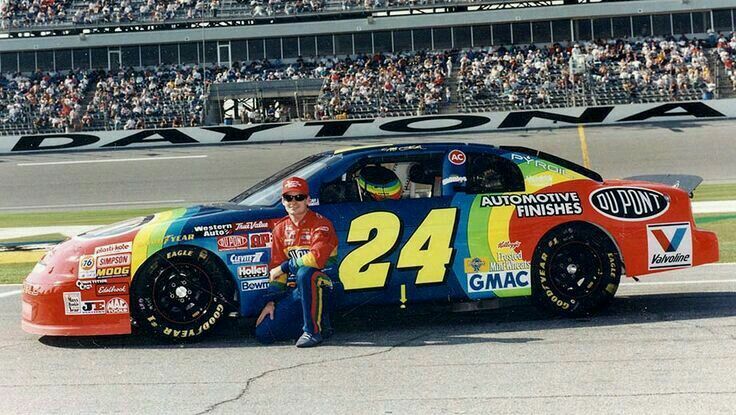 I have a number of projects lined up for my time off. 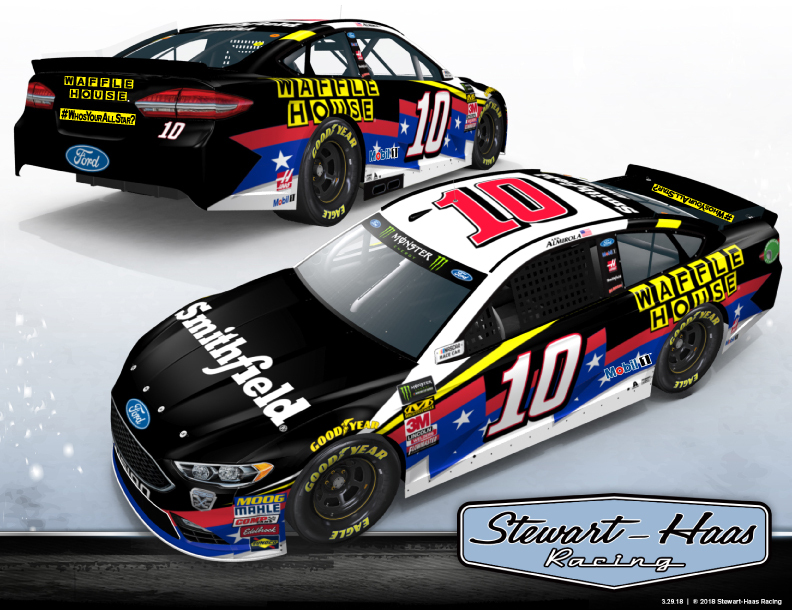 I’m also going to try a few new ideas out, which might be used on the site in the near future. 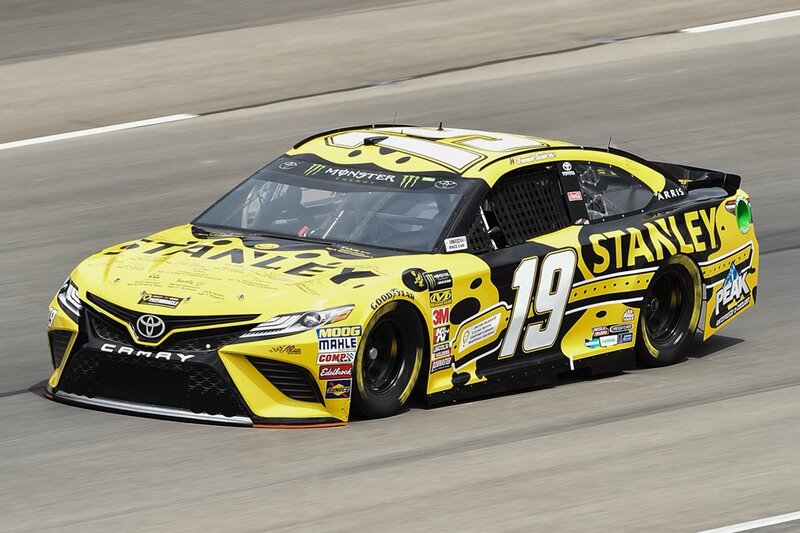 I promise that I will come back in August, until then, have a great summer! 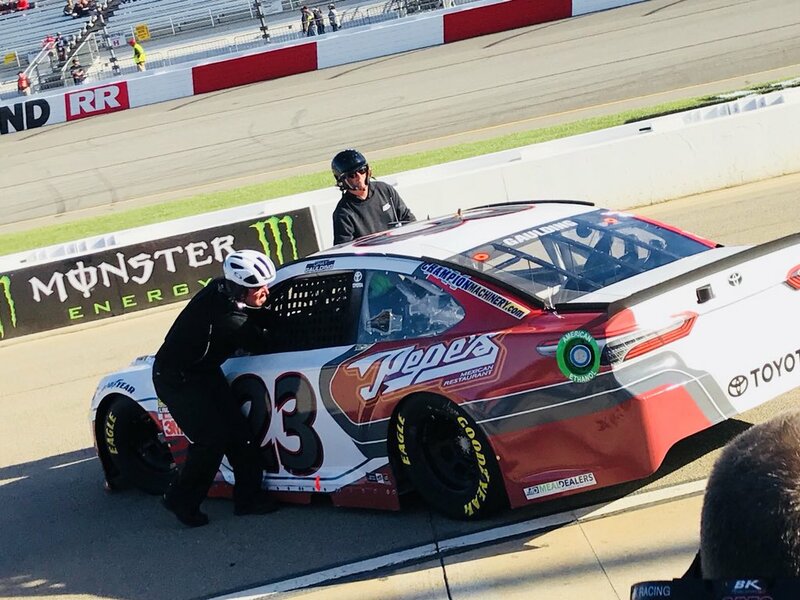 The Driver Suit Blog-The Vest Project Part 17-Revisiting A Team I’ve Already Covered. 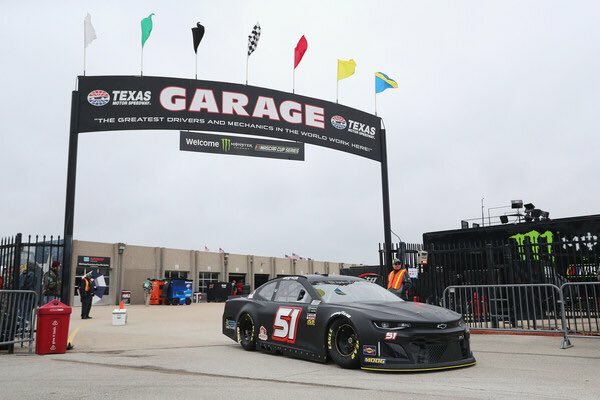 Ok, I get that last week’s Friday Feature was a long read. 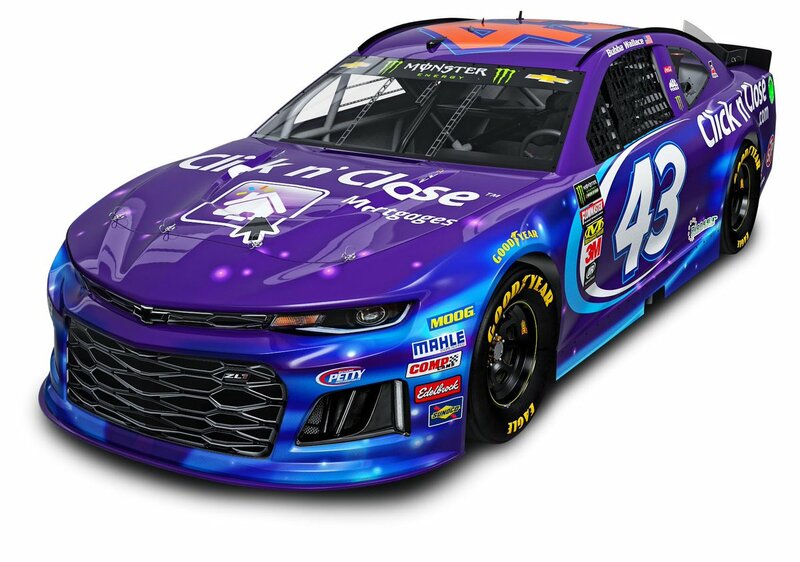 I had been wanting to do something like that for a while. 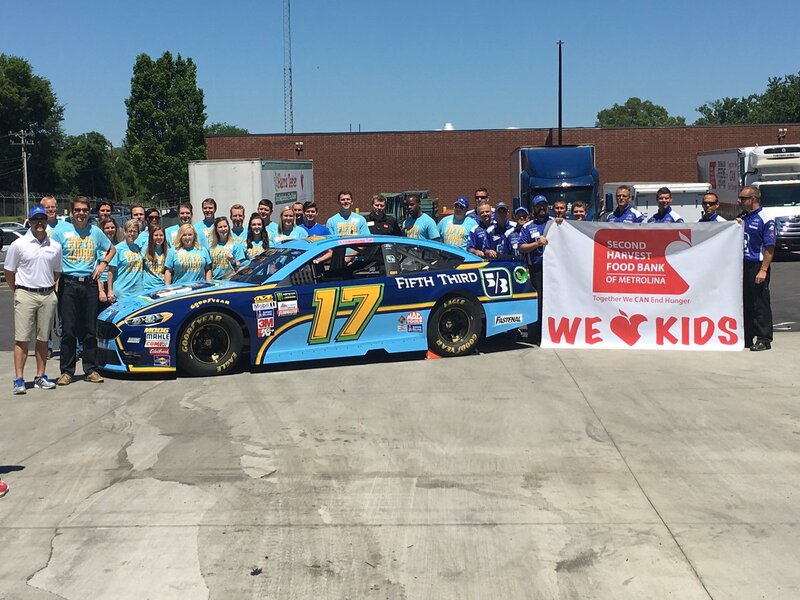 Now that the coins are done, let’s pick up the vest project where we left off. 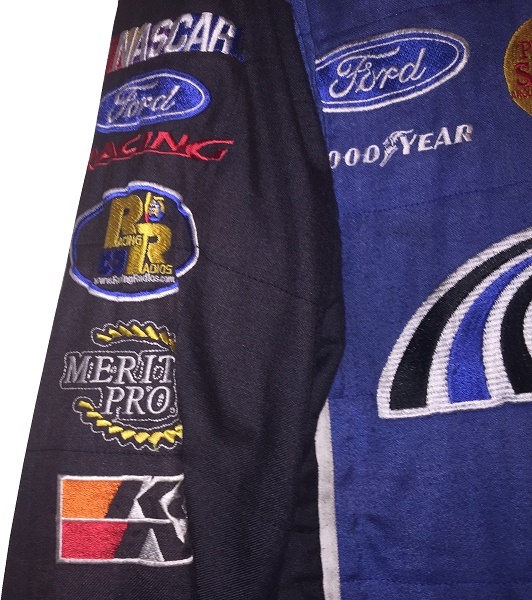 Two years ago, I “finished” the vest project with a Serta vest from BAM Racing. 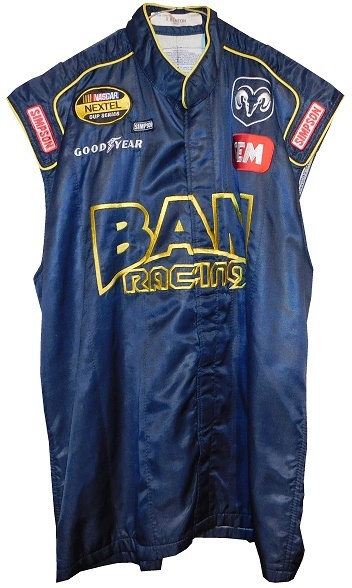 Since then, I have acquired a few more vests, including this one from BAM racing. 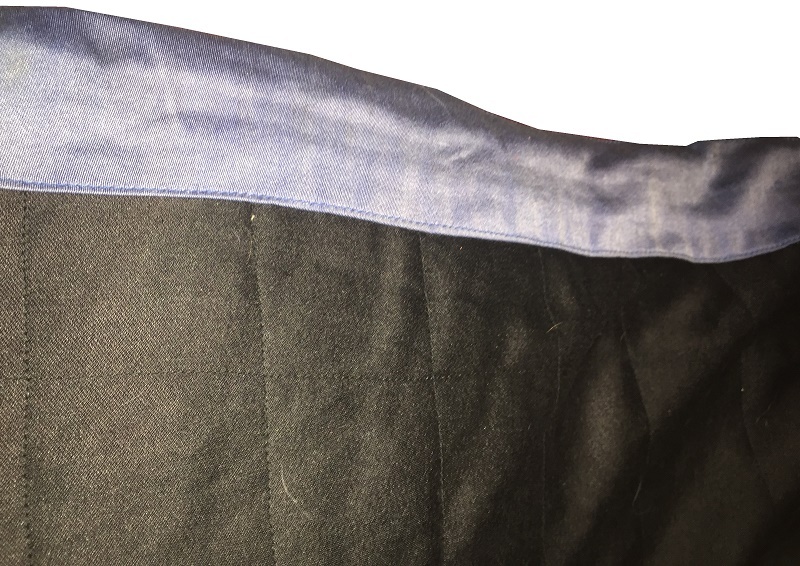 Since it’s pretty much the same vest, albeit with some minor differences, I’m just going to use the article I did for the Serta vest, update with the changes. 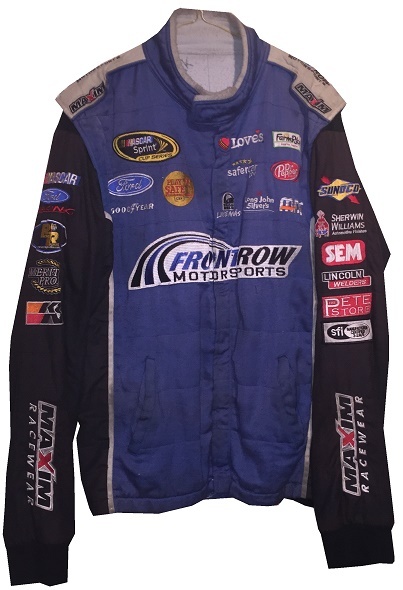 This vest is from The Sprint Cup Series, and is the only vest I’ve come across from the Cup Series. 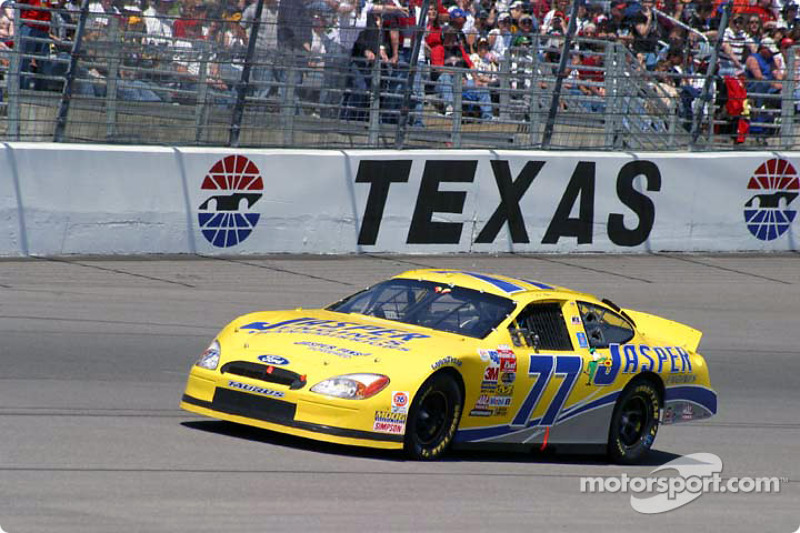 It was from BAM Racing in 2006. 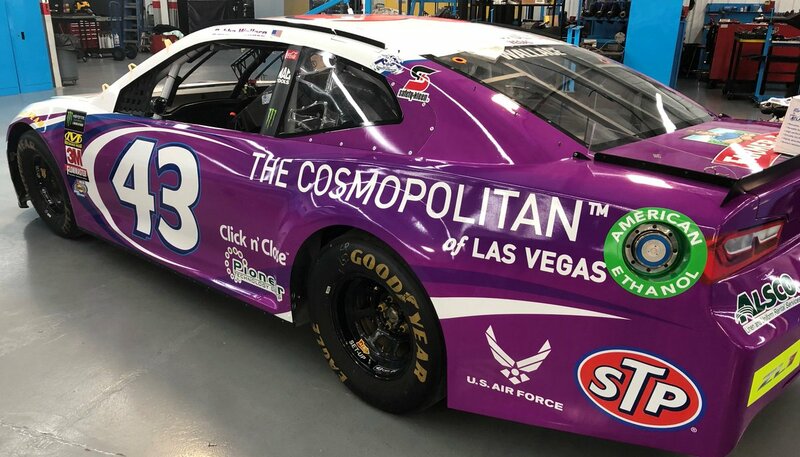 BAM stands for Beth Ann Morgenthau, the owner of the team. 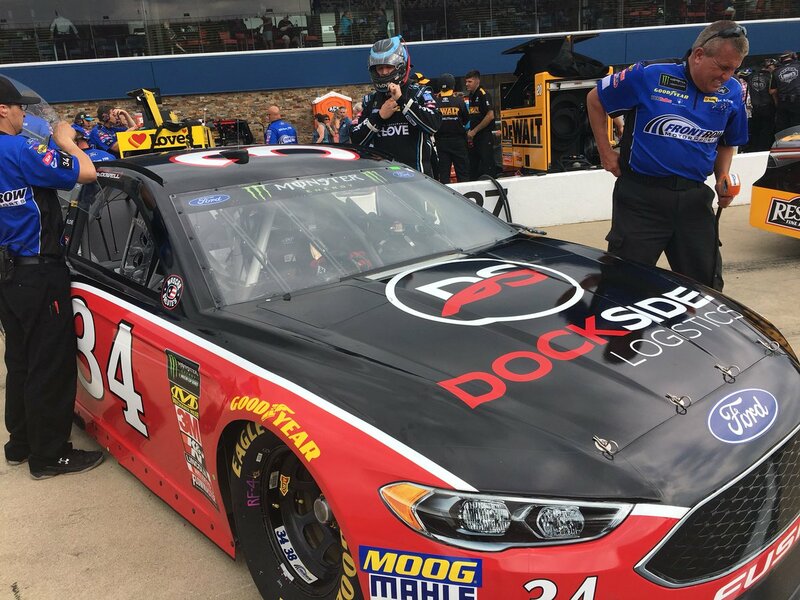 Their racing team started in 2001 racing Fords part time. 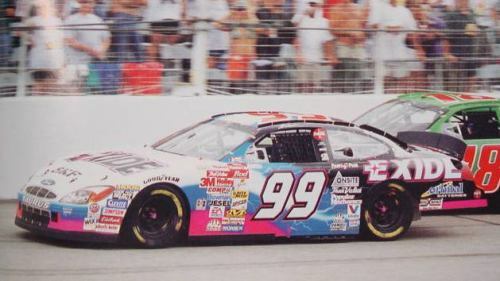 In 2002, they switched to Dodge, which they raced until they folded in 2008. 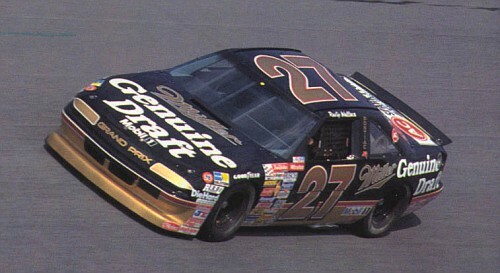 Their driver lineup included Ken Schrader, 1990 Daytona 500 winner Derrike Cope, and former Truck Series champion Ron Hornaday. 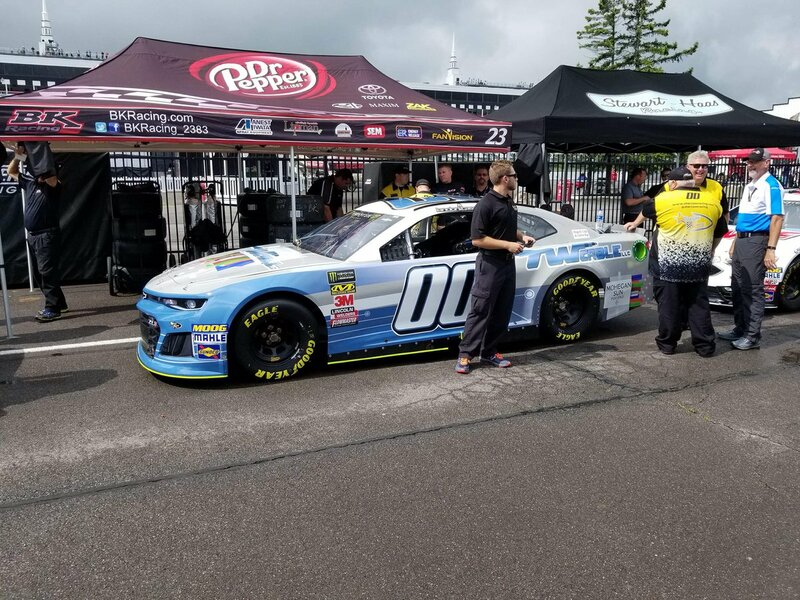 Though they had 3 top 10’s with Schrader over the course of three seasons, 2003, 2004, and 2005, they never scored a top 5, or a win. 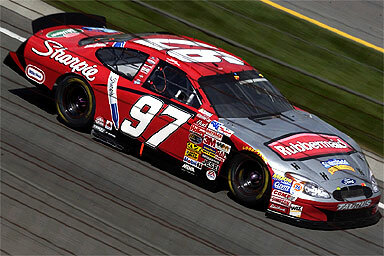 2006 would be a forgettable year for BAM Racing. 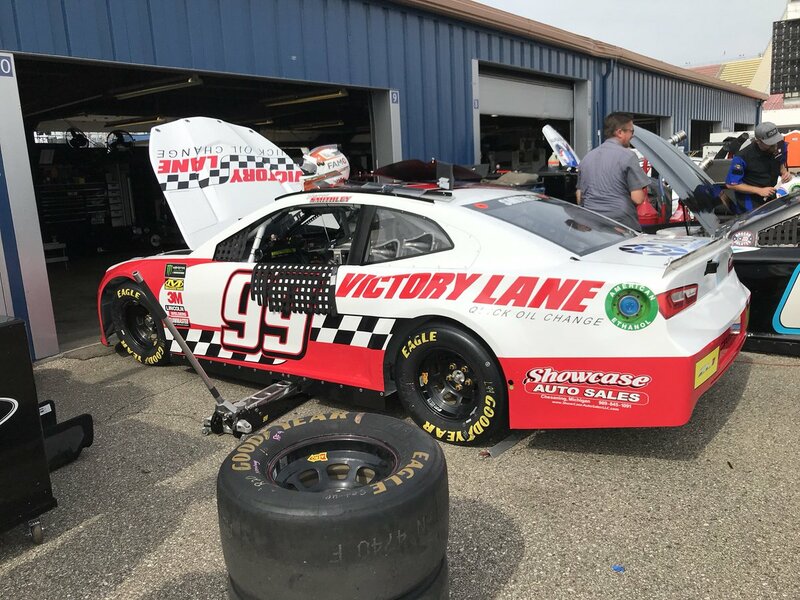 Though they tried to start 33 races out of the 36 race season, they failed to qualify for 8 of them, and the ones that they did qualify for, they failed to even score a top 10. 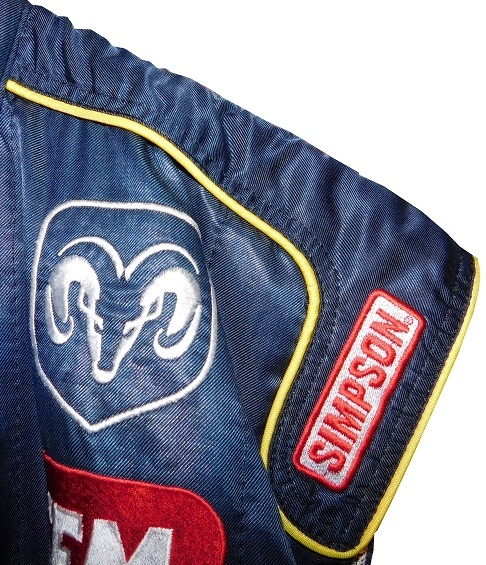 During some of those 24 races, a crew member wore this Simpson vest. 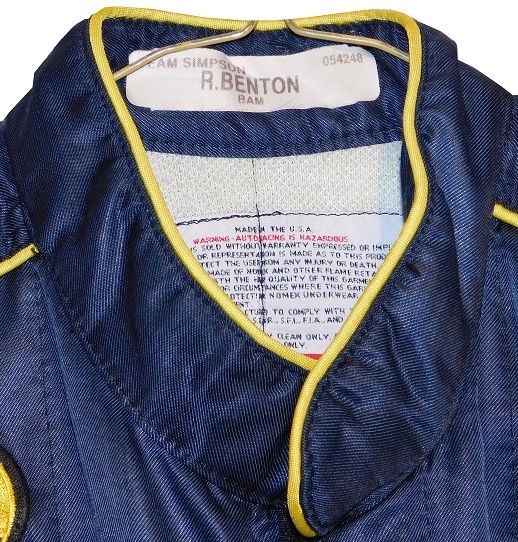 Issued to a crew member named R Benton, the vest shows light use. 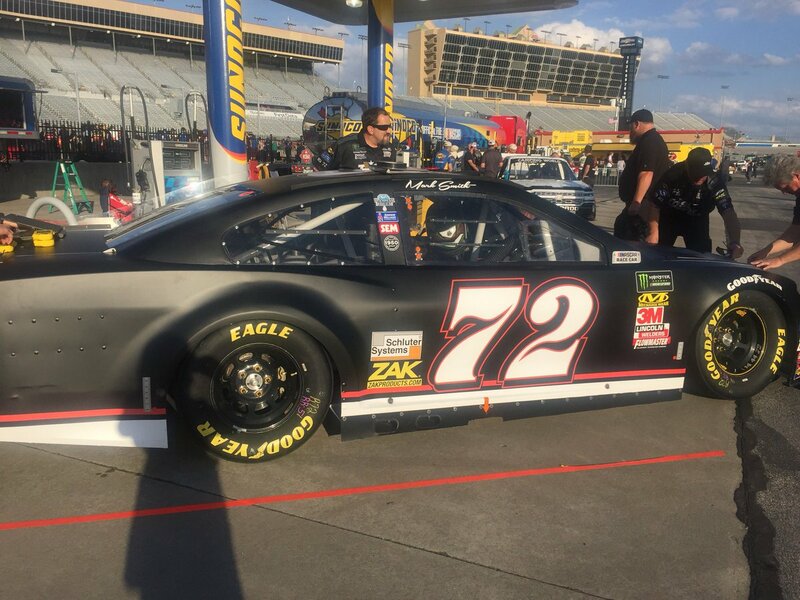 The collar has no logos on it. 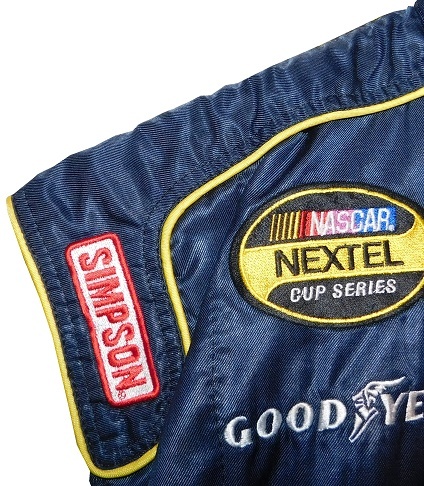 The old Simpson warranty label is sewn into the cowl, along with an identification tag stating that the vest is issued to R Benton. 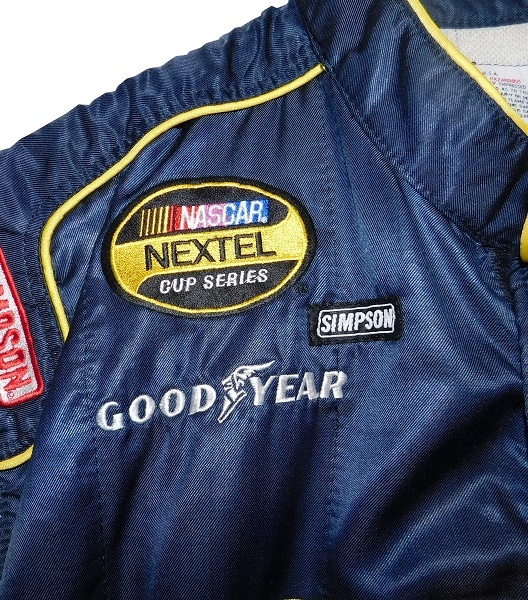 The right chest features a NASCAR NEXTEL CUP SERIES logo, a SIMPSON logo, and a GOODYEAR logo present. 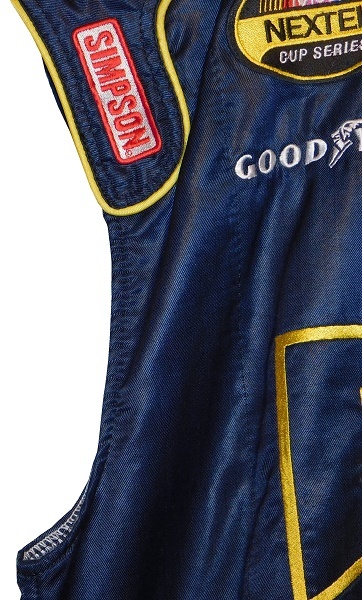 The left chest features a Dodge logo and an SEM logo. 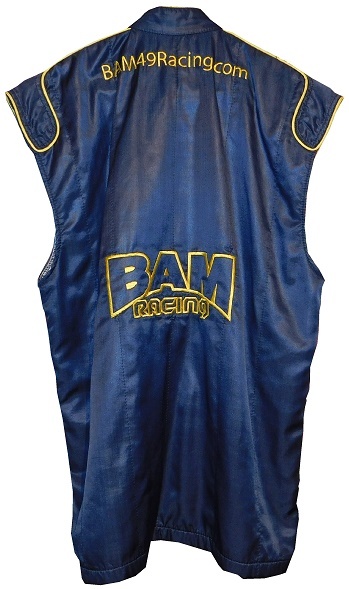 The front torso has a BAM RACING logo embroidered in white and yellow in the blue background material. 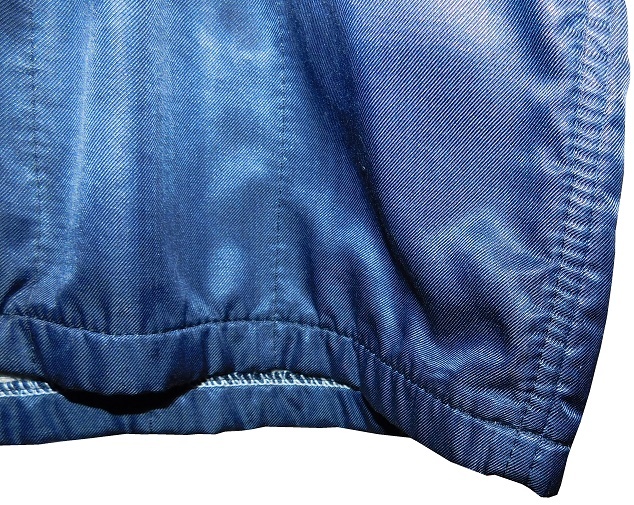 The bottom hems don’t feature comfort straps. 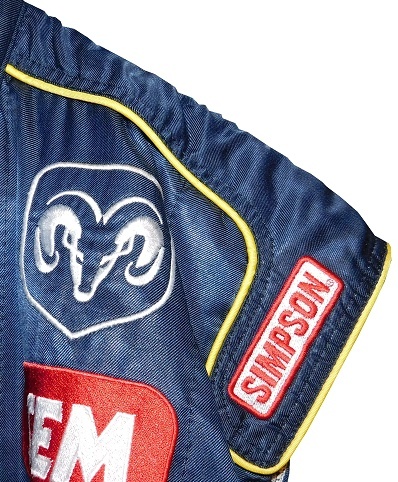 The shoulder epaulets feature Simpson logos, but are otherwise unadorned. 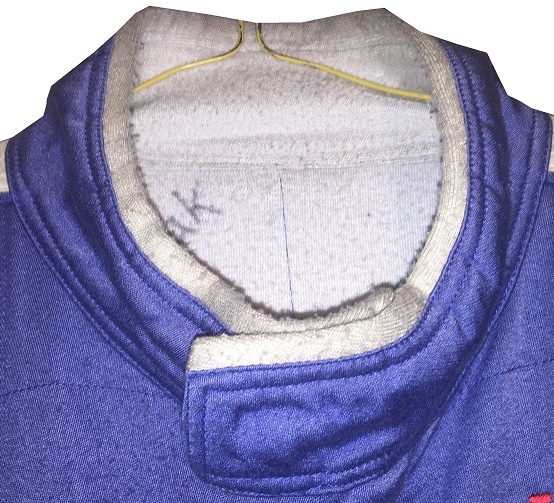 The vest has standard arm holes. 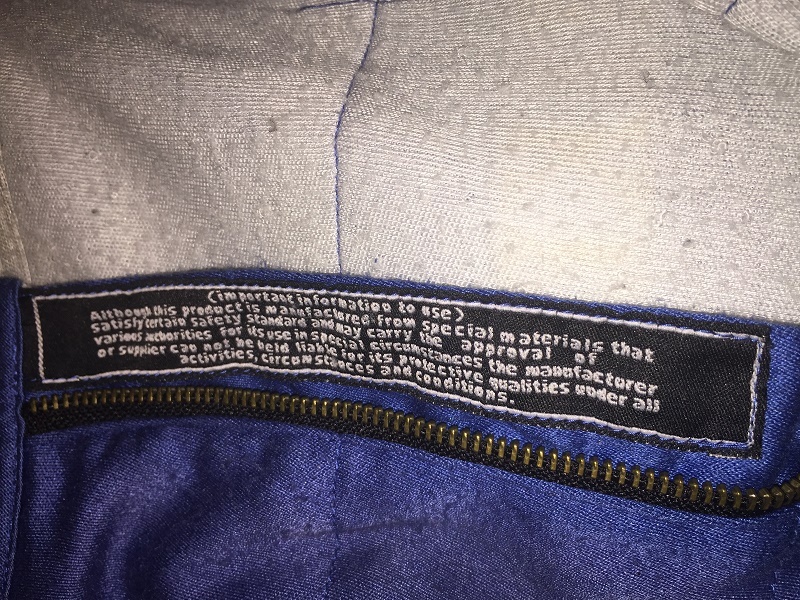 The back of the vest doesn’t show any real wear. 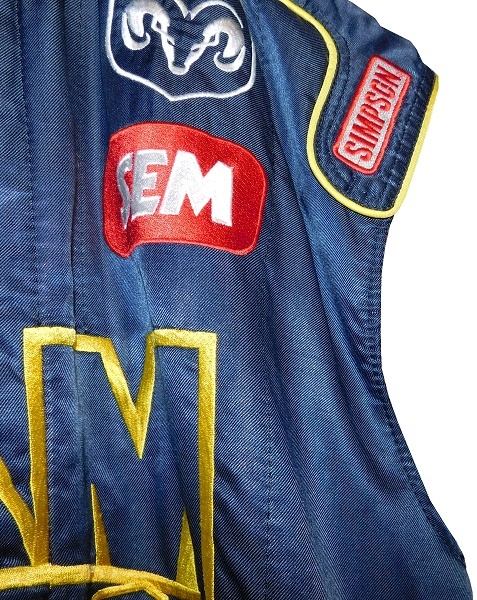 The back of the neck is unadorned, but just below the neck, there is WWW.BAM49RACING.COM embroidered into it. 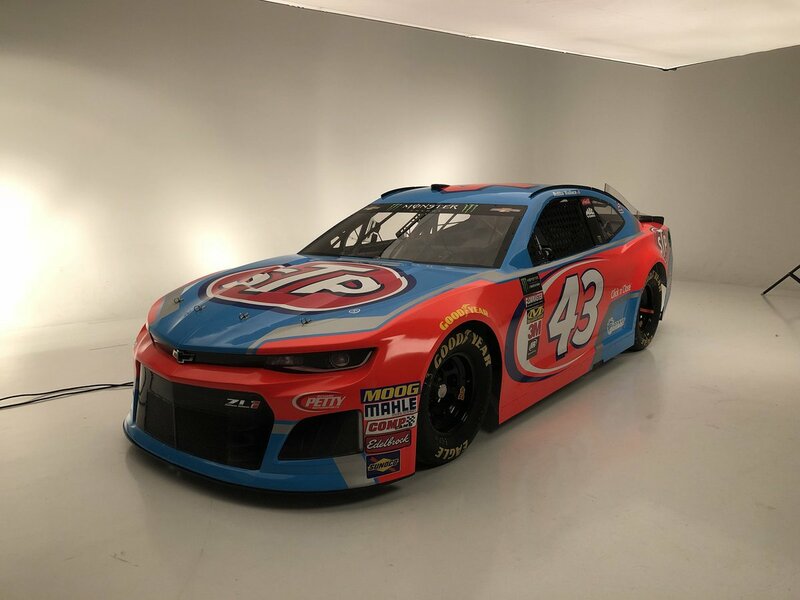 The back torso features a SERTA logo above a BAM RACING logo. 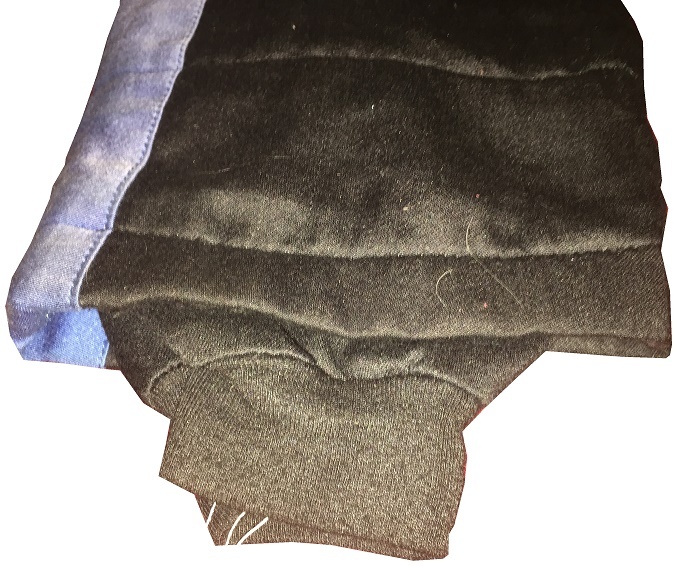 The vest project will go on, and I do plan on doing more vests in the coming months. 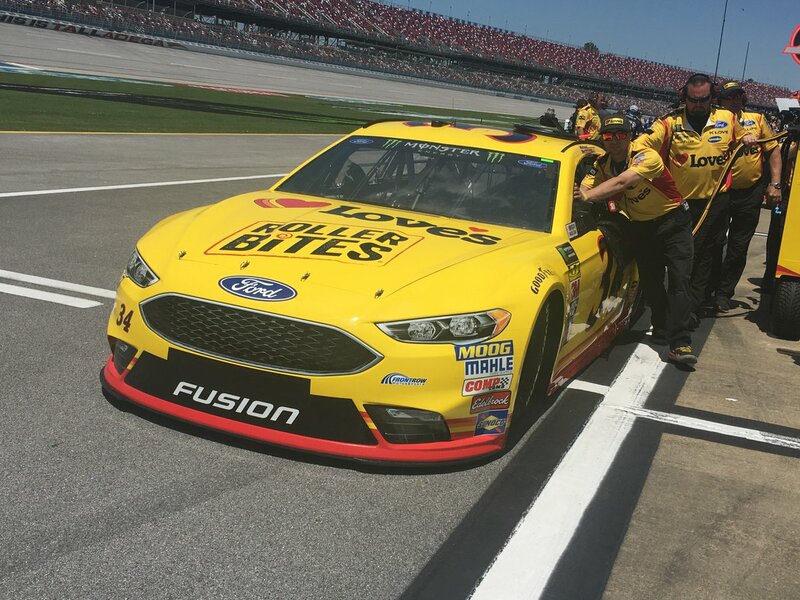 I just hated doing vest after vest after vest. 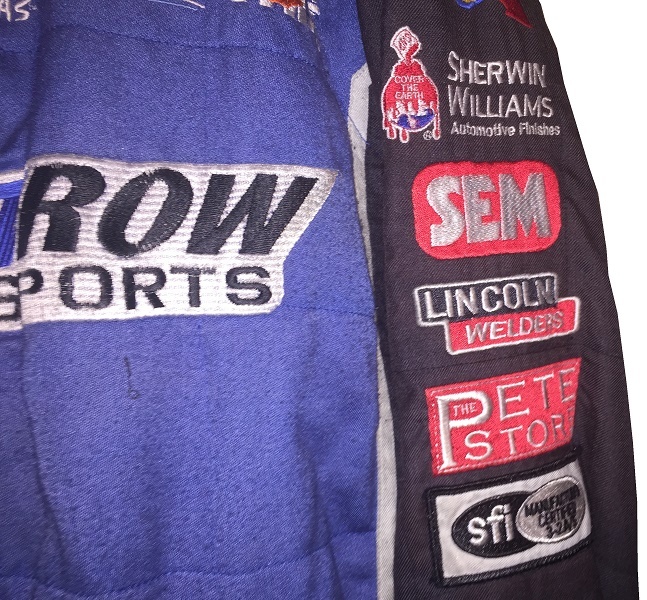 I do learn from these vests, and I do enjoy collecting them. 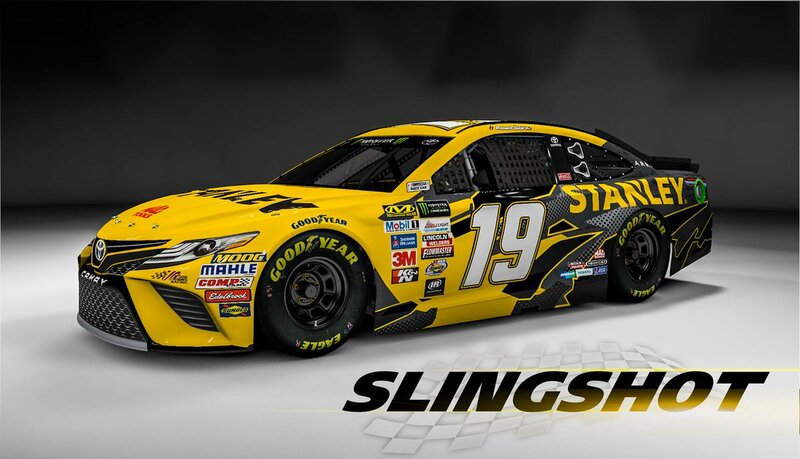 Next week, a pit crew suit from an established Cup team, made by a company I have never heard of.